Hip and Classy Winter Trends We Can Look Forward to this Holiday Season! Heyheyhey! It’s November already, time to get your leaves approved and flights booked! What are your holiday plans for the end of the year? Moo and I are planning to head up to Cameron Highlands for a change of weather, away from the heat and humidity of KL city. We’re huge fans of nature, tea and strawberries too so yep that’s our December plans! 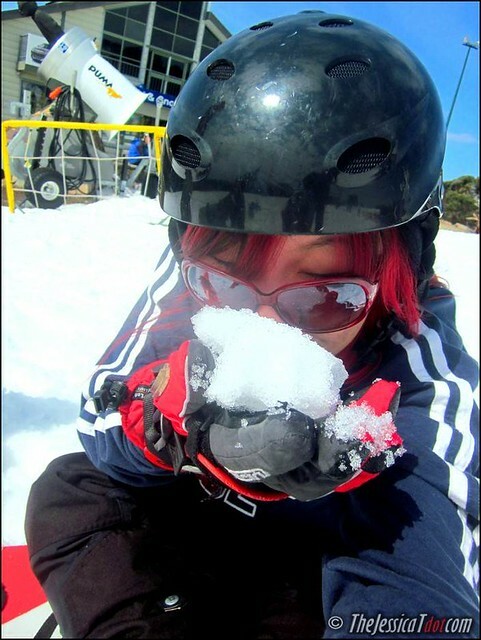 Staying away from snow this year! Saving up for bigger plans… heheh. Speaking of holiday seasons, let’s check out what the trending winter fashion will look like this year. 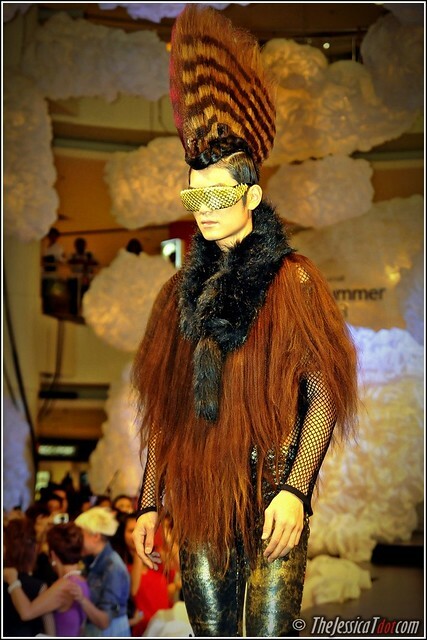 Stripped right off the runway, here’s a brief trend prediction and a fashion report for AW2014- emerging trends! Although there will never be snow or winter in Malaysia, there’s no stopping us from donning trendy winter wear nonetheless! In fashion terms (if not meteorological ones) the Autumn-Winter season is the hottest of the year. I’ve always loved classy and stylish winter wear. 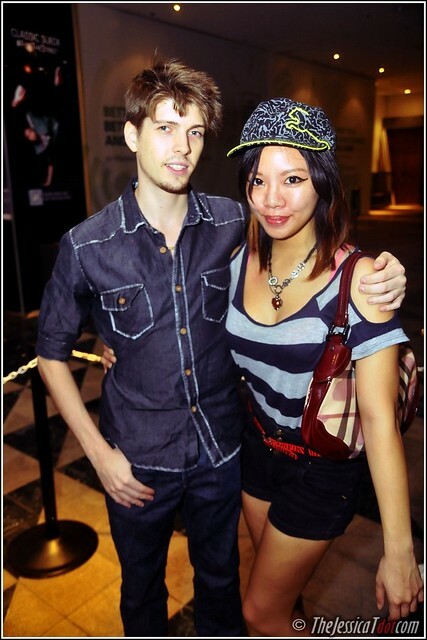 I’d wear it more often if it wasn’t so hot in Malaysia! With layers, leather jackets, tailored coats and dramatic accessories, it’s only when the nights draw in that your fashion star can truly shine. 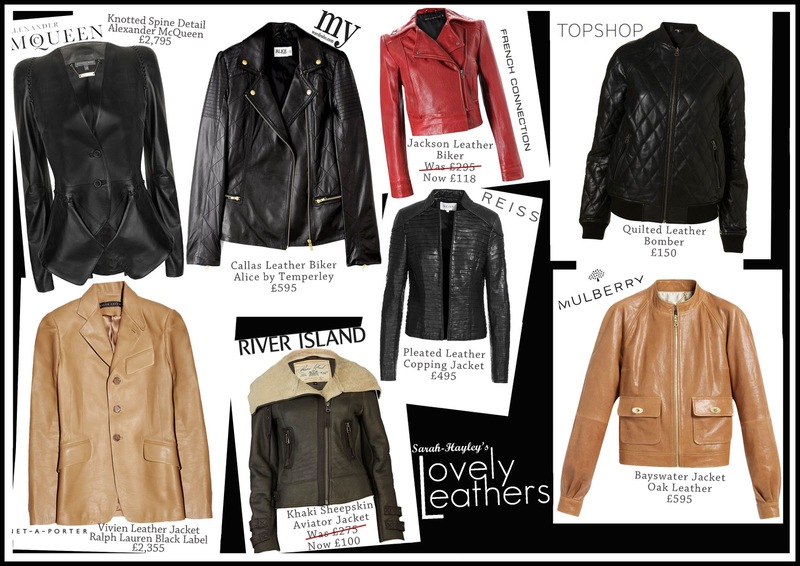 I’m a huge fan of leather jackets and wear them rather often no matter what the occasion is! 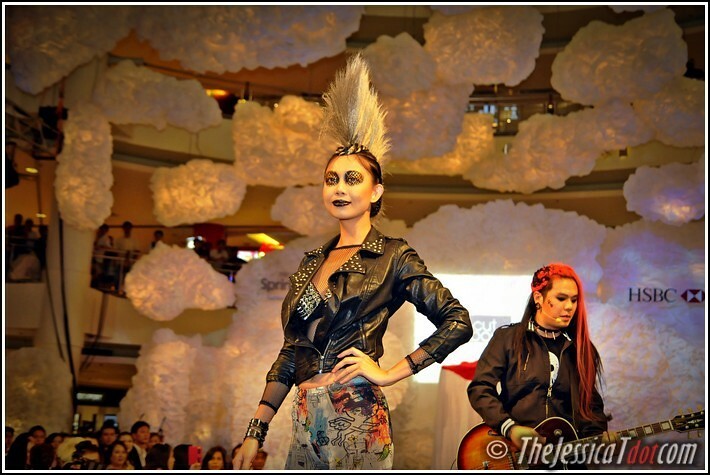 It brings out that rocker-chic biker girl rebel streak in me. Checking out ’em Harley Davidsons. 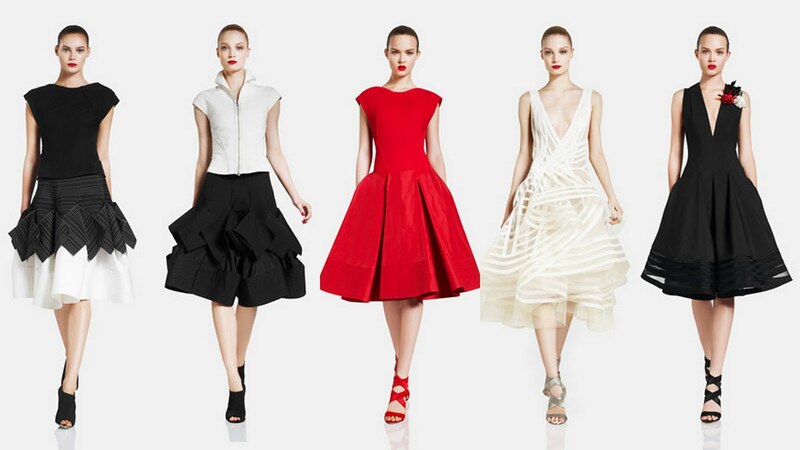 One emerging trend for AW2014-15 is a prim, ladylike silhouette. 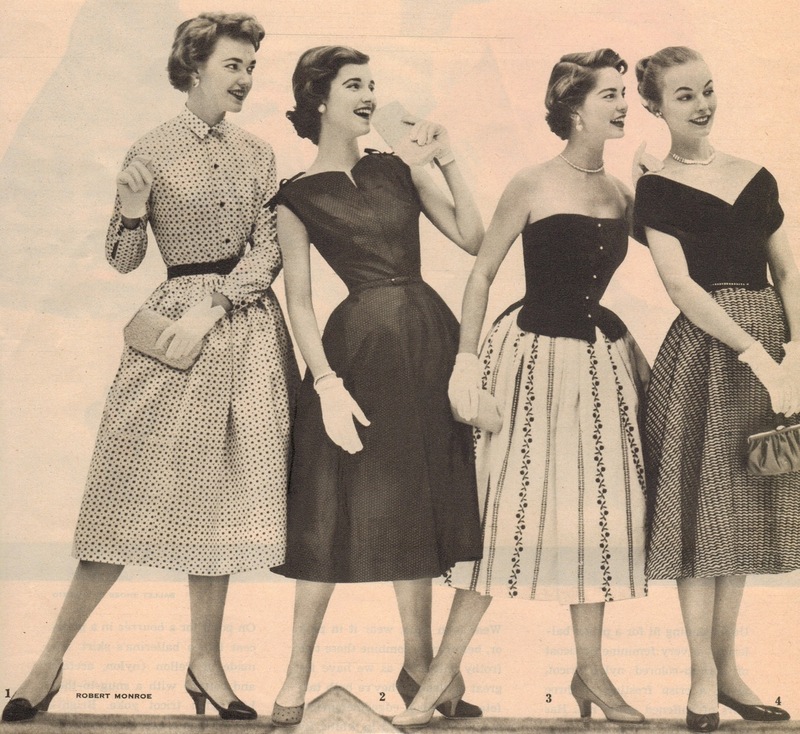 Think full 50s skirts, but with a nod to modernity in leather or vinyl. Something like this vintage 50s poster but with a twist of today’s style! Match them with a spotted blouse for a nod to Grease, but a look that’s all Vogue. I wear 50s inspired skirts too! I’d say it’s called the skater skirt in this era. This one’s easily replicated without a massive dent to your bank balance. Fashion can be anything these days, really. It’s so subjective; much like art. 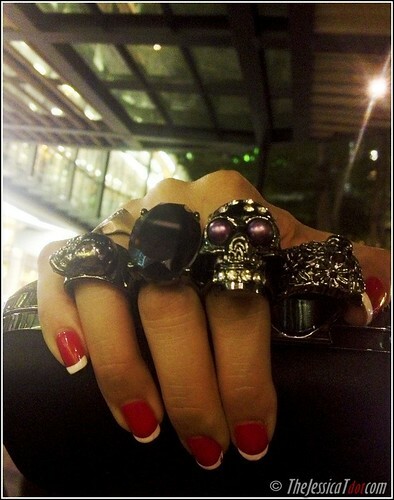 All accessories are by my amazing sponsors: The Wild Things. Check ’em out! Get creative and make your own with fancy beads and feathers, or pick up a vintage gem at a Sunday market. This look works best with a simple, chic base, so try it with skinny-fitting black trousers and a jacket in a luxurious material. 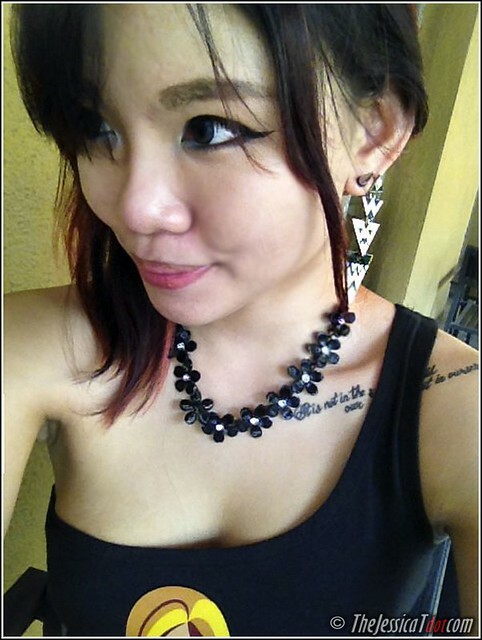 This single-statement one lobed earring seems like a really quirky idea! Something up my alley. I never knew it could be a trend set for this Autumn-Winter. Why don’t you try this on your next night out? Don’t sigh. This “normal” look is far from dull: it’s all about wearing classic wardrobe pieces in navy, grey, beige, and black, but in the most sumptuous fabrics you can possibly afford. Normcore enough? My trenchcoat last Christmas. Look to high-end high street brands to help out with this trend, and check in with bargain Japanese clothing experts Uniqlo for their pure cashmere woollens, silk jackets and tailored trousers. If your budget can reach so far, try Stella McCartney and Marc Jacobs for designer takes on this most ironic of trends. Another trend with more than a pinch of irony- or perhaps a postmodern critique of consumer society’s idolatrous brand worship (hard to say). Like normcore, this trend captures the idea of “normal” before blowing it sky-high and transforming it into high-end couture. This was probably best seen in Karl Lagerfeld and Moschino’s shows: the former was supermarket-themed with everyday branded products appearing on clothes (like a Pepto-Bismol crop top). It’s basically a supermarket medication for diarrhoea & heartburn. Moschino took the iconic Golden Arches of a popular American fast food brand, and emblazoned them on handbags carries out by models dressed as servers. How creative! While this might not be a street-style look to any but the boldest among us, channel the brand trend with plastic fantastic jewellery and accessories. 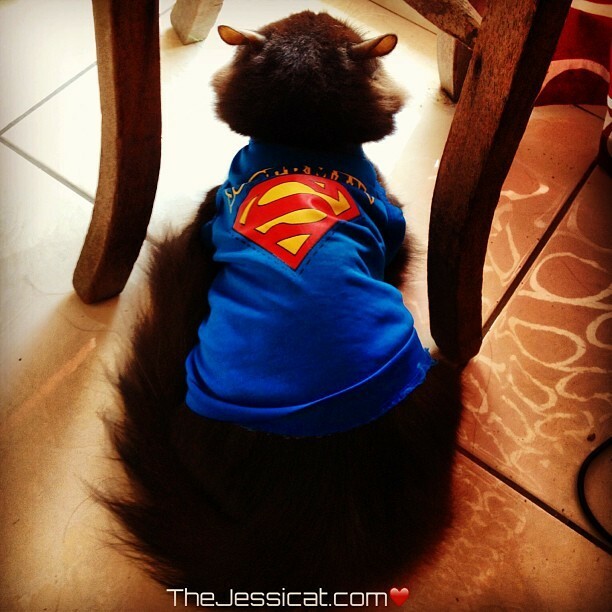 I guess I could say I dress up my cat fashionably too – with his Superman tee! In previous years, we’ve followed Alexa Chung and worn oilskin Barbour jackets, and dressed like urban lumberjacks in worn jeans and checked flannel shirts. 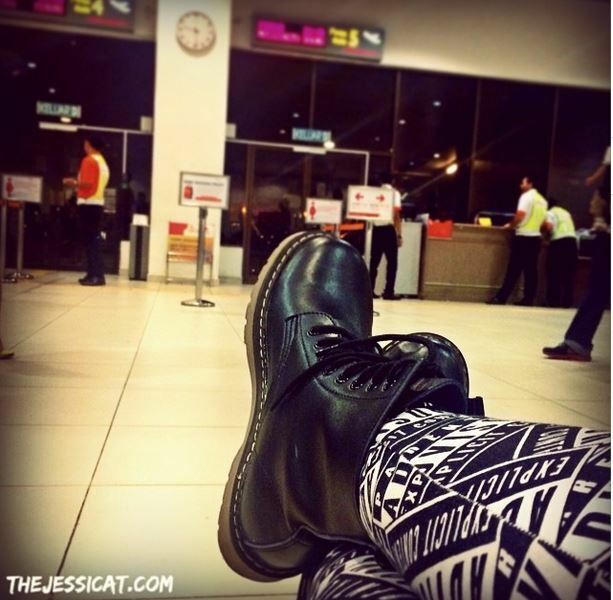 My fave pair of boots and comfy trousers! A new urban outdoor trend is now emerging: hiking-inspired ensembles. Pair your lined or waterproof walking trousers with sturdy boots and a delicate shirt for contrast. Perfect for cold and rainy days, as good enough to hit the bar following a hike on Hampstead Heath. Phew. This is the closest thing that I wore recently that had flannel in it. However you choose to channel the new-season trends, don’t forget that a dramatic look and buckets of confidence will get you further than any copycat catwalk look: inject your personality into on-trend items with old favourites and classic pieces to retain your sense of individuality. No matter where you plan to go this holiday season, do remember to stay warm for winter, have a safe flight and always stay fashionable with these fashion-forward tips straight from the Autumn-Winter runway! I’ve been bag-crazy for as long as I can remember. The bag-radar in my head scans and identifies every brand of bag in my direct vicinity and reconizes the name of its models too. I know, I scare myself sometimes LOL. 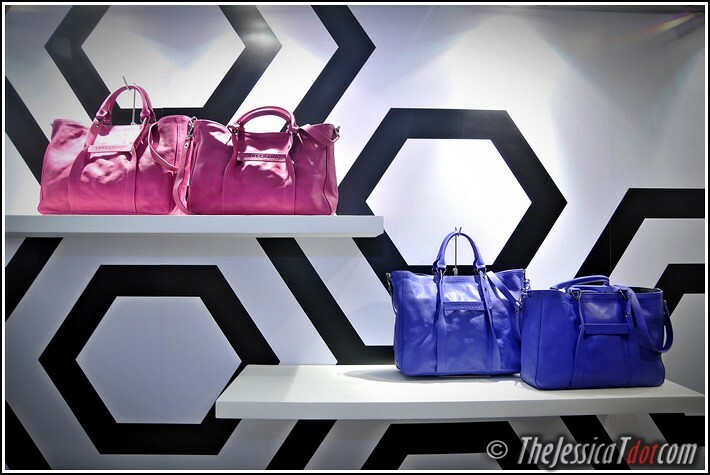 Needless to say, I was thrilled when Longchamp Paris invited me for a preview of their latest range at the Longchamp Paris Fall/Winter Collection 2013. Brought Konzy along with me as my date for the evening. The evening was delightful. We were served champagne as we browsed through the latest collection. 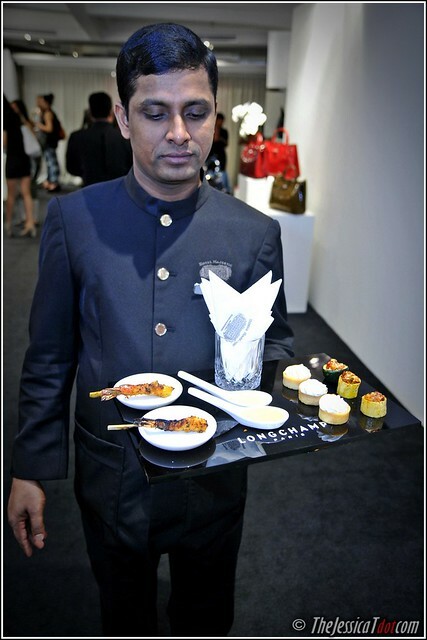 We were also served delicious canapés to satiate our tummies throughout the night. 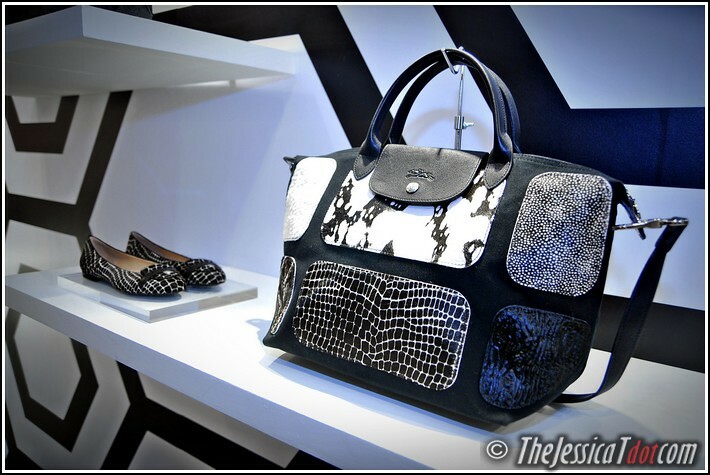 Let’s take a look at their star product of Longchamp’s 2013 Fall/Winter collection, shall we? 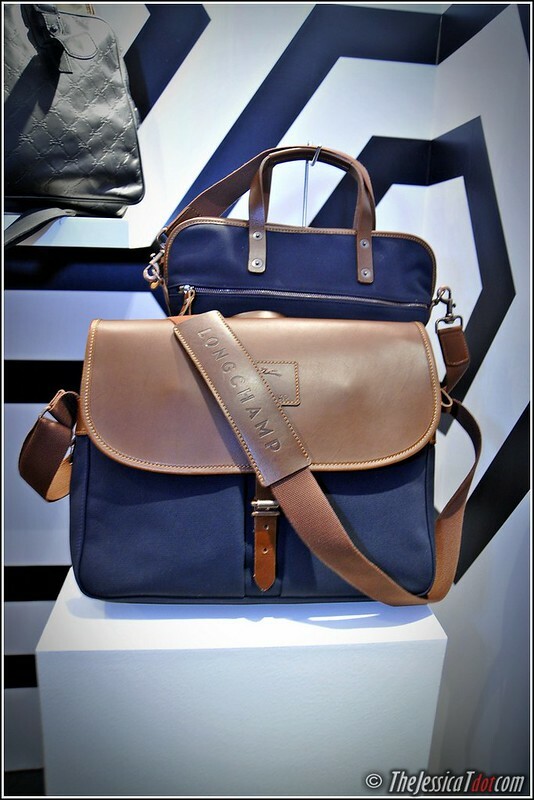 Introducing Longchamp Quadri, the new everyday essential. 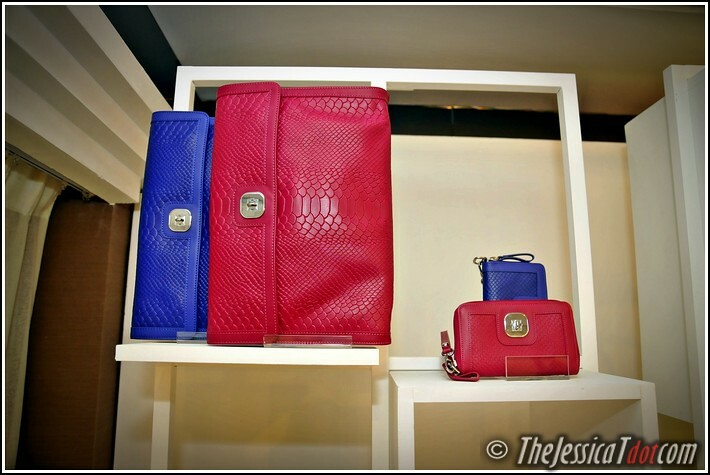 Quadri in its three distinct colours and three models. Flashing my favorite in this range, the black pochette. Here’s how it looks like in real life! 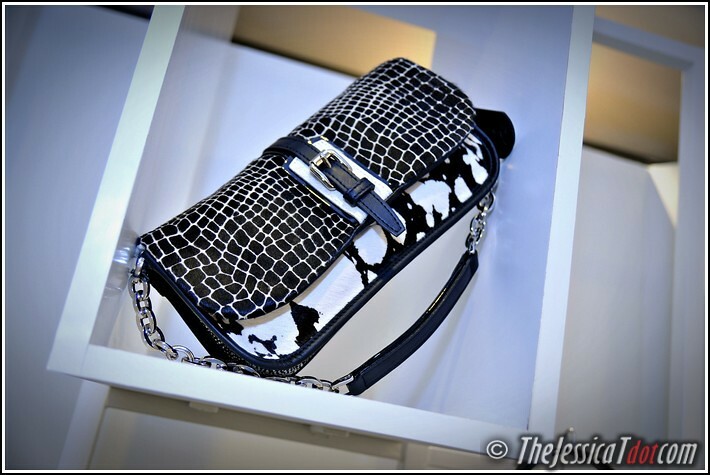 The casual-chic Quadri is everything a girl wants a bag to be. Crafted from cowhide leather with a distinctive crisscross grain, it feels supple and worn-in. 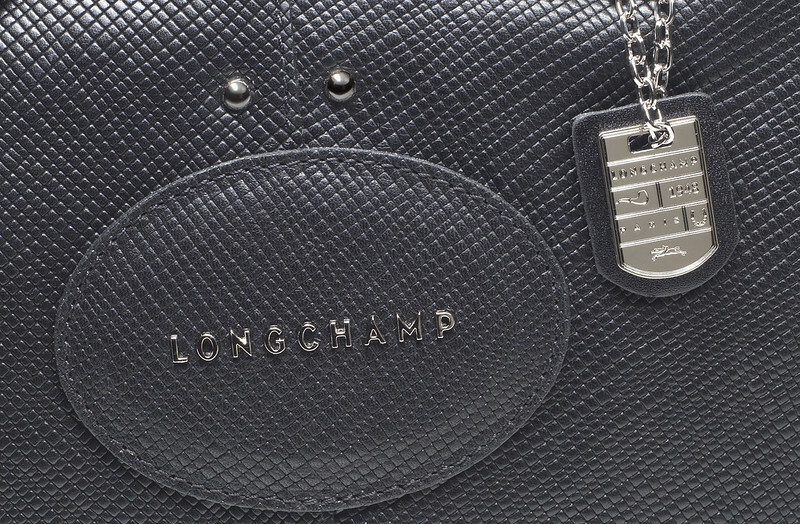 I love the rock ‘n’ roll spirit of the nickel-finish hardware – the Longchamp signature, the rivets, and especially the cute metal plaque engraved with Longchamp emblems. A close-up of its texture and finer details. But what is fashion without function? 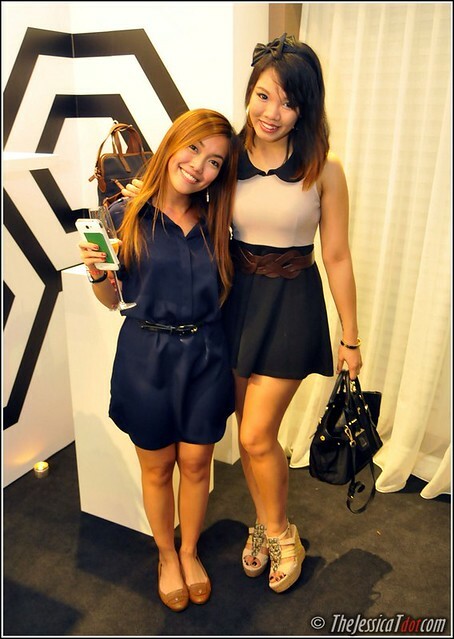 Quadri bag will never let a fashionable girl down. For every day, she chooses the Quadri tote, which holds all she could possibly need (and more besides). It is packed with practical features, including several inside pockets, two strong handles and a removable shoulder strap. The on-trend cross-body bag is great for hands-free days, while there’s also a spacious shopper and a roomy hobo with an ingenious adjustable strap. 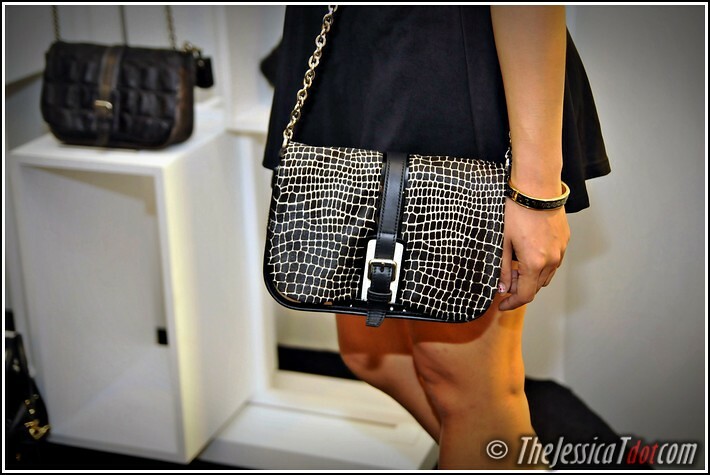 And when she goes out at night, well, the Quadri line has the perfect solution: a cute little pochette which she can dangle nonchalantly from her wrist. 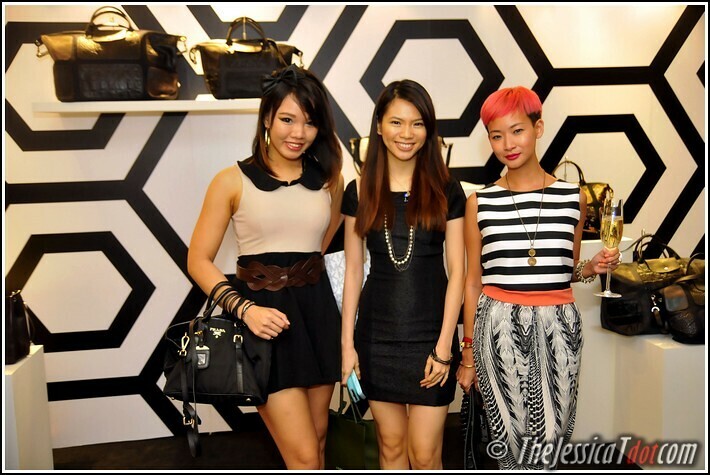 Jessicat holding up the Quadri pochette. As you can see, the choice of colours is versatile too. Each one a contemporary classic – from everyday staples such as Black, Clay and Ecru to vibrant Carmine and sophisticated Cedar. The line-up of colours available for Quadri. It is no wonder the Quadri was my favorite amongst the entire collection! 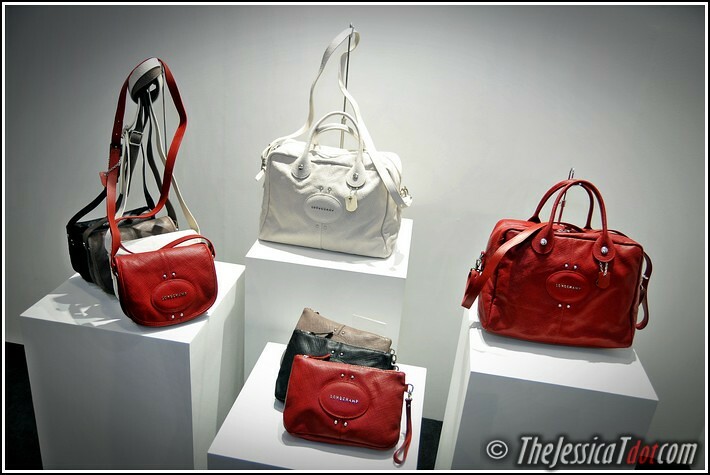 Apart from the Quadri which I could hardly keep my eyes away from, I decided to check out the other lovely bags on display. 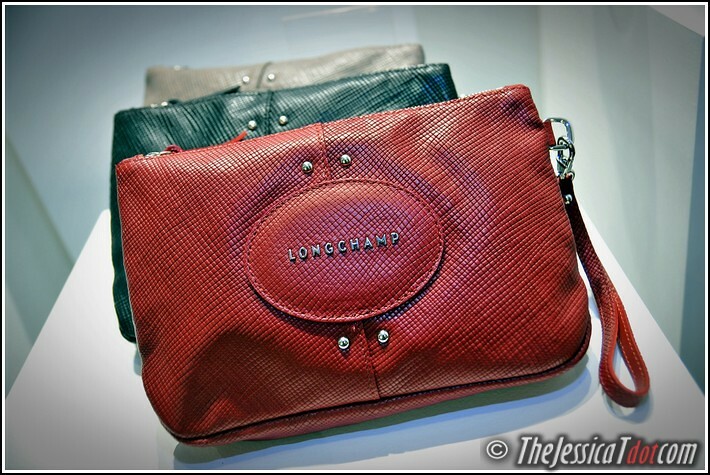 Here are some of my other favorites from Longchamp’s 2013 Fall/Winter collection. The Longchamp 3D line encompasses two roomy totes, both with handles and a removable shoulder strap, and a maxi hand-held duffle bag. Its 3D lines also gives the season’s geometric spirit a whole new dimension of fun and fashion appeal with its playful “pop-up” details. Next up, is the Longchamp Roseau Box. 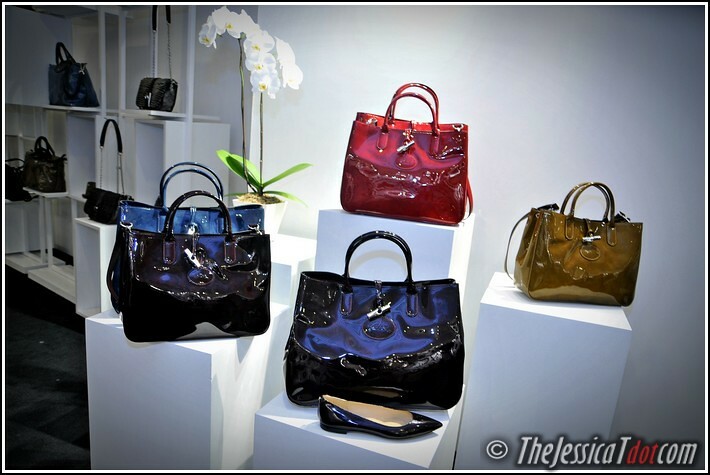 This new tote comes in patent calfskin with a gorgeously glossy, transparent finish which reveals the leather’s delicate patina and enhances Autumn’s most sumptuous shades: dark Aubergine, warm Cumin, intriguing blue-green Cedar and rich Carmine. And it’ll fit with some of the watches I have checked out before. 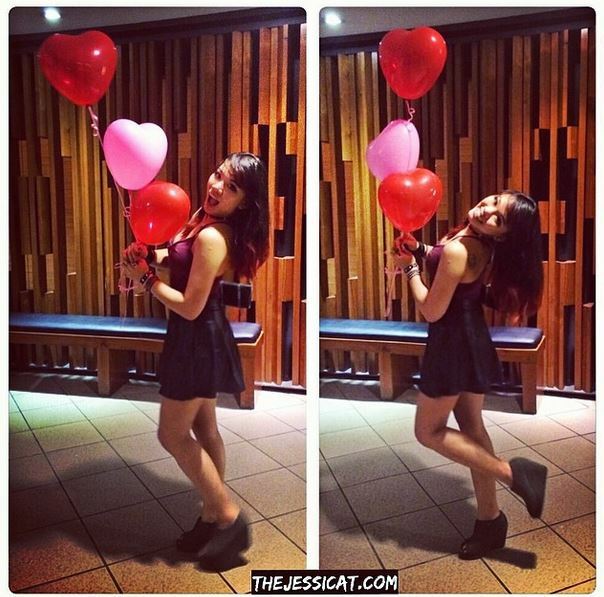 Jessicat toting the Roseau Box in Dark Aubergine. May explaining the Roseau to me when I took more than a passing interest. Us girls standing by the Roseau range. Next up, the Balzane Roots hobo bag interpreted in three elegantly muted shades for Autumn 2013. 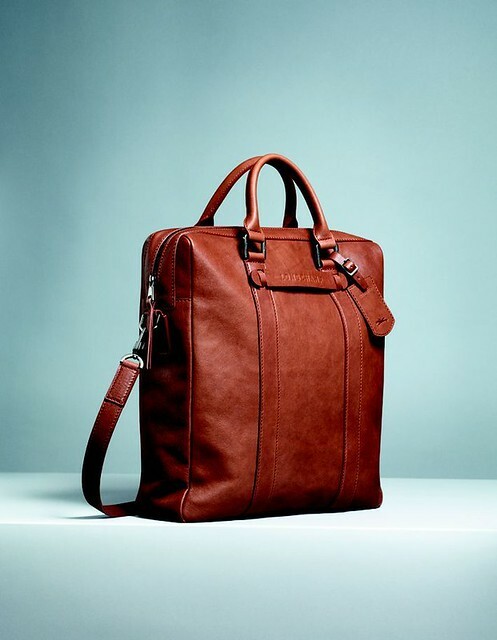 Its contrasting smooth mocha leather trim adds fashion flair to this chic, sporty design. 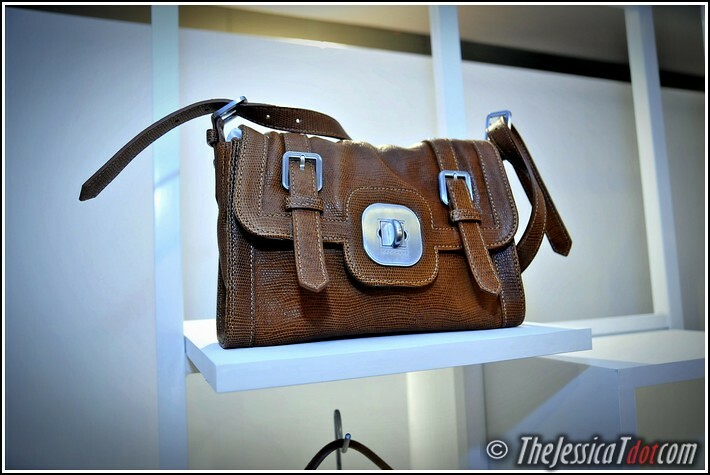 I absolutely loved the masculine-feminine allure of this brown satchel. 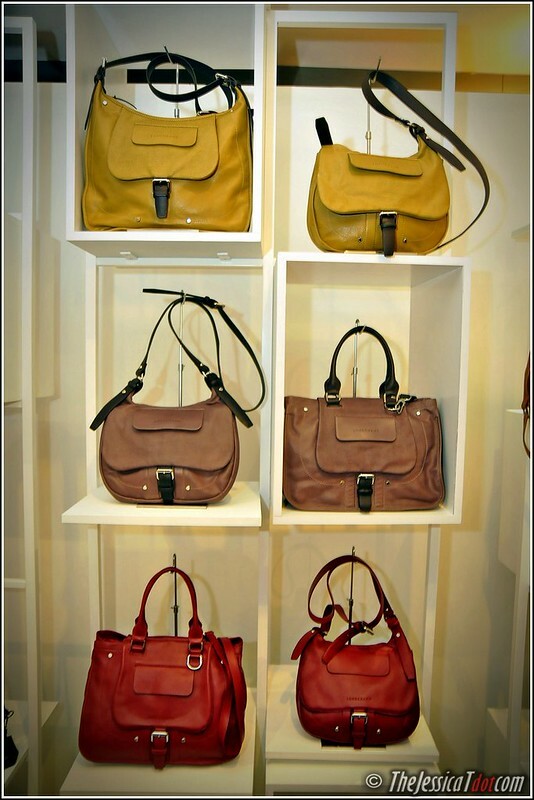 Longchamp Le Pliage in its warm, earthy hues this Autumn. 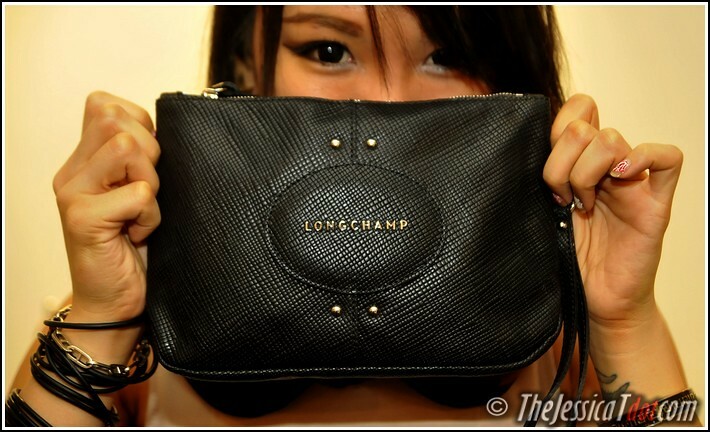 I favoured the Longchamp Pliage in this shade most! It even comes with a matching pair of flats. 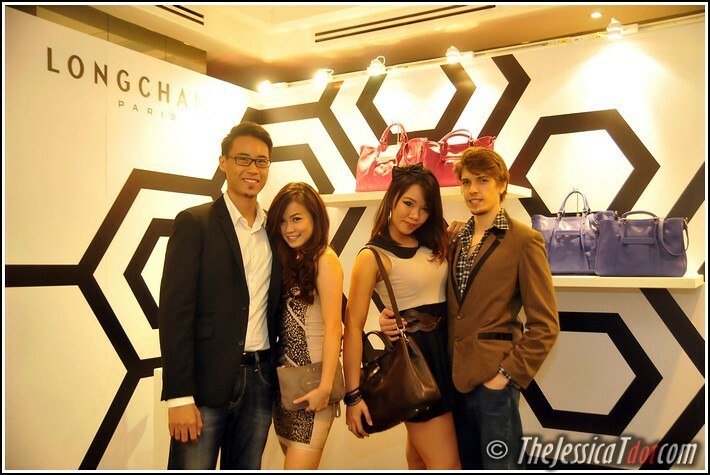 Other ranges of Longchamp from its previous collections were seen at this exclusive press viewing too. 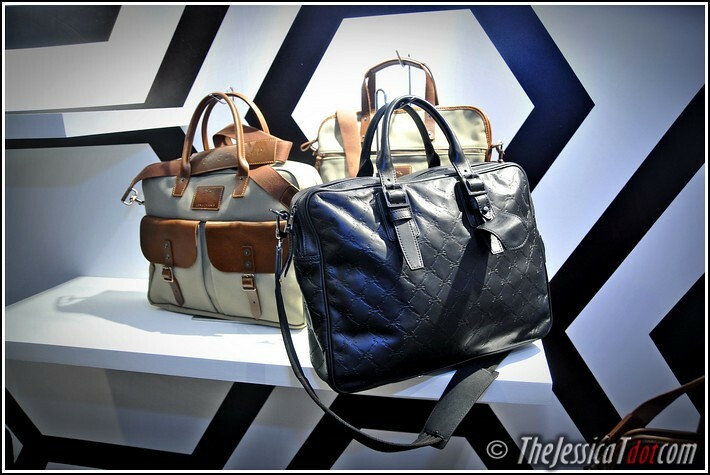 I immediately took a liking to its Spring/Summer ’13 products too. Here’s a brief look at some of them. So bright and cheery, no? Absolute love. I’d add this maxi clutch to my evening looks anytime! It’s too pretty. This was another one I took an instant fancy too. 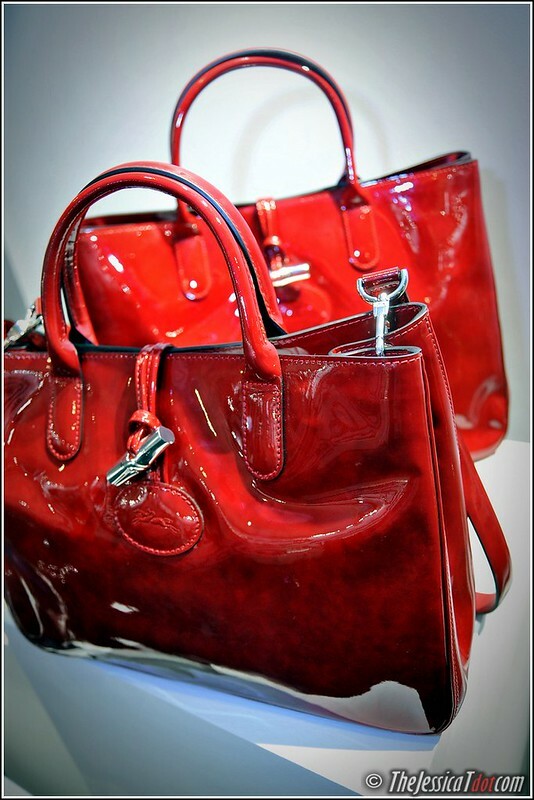 After I was satisfied browsing and admiring the range of bags, I noticed that bags aren’t the only highlight of Longchamp’s 2013 Fall/Winter collection. 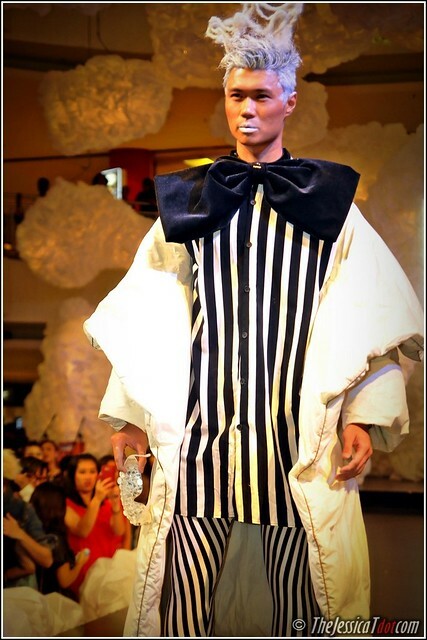 Here, we have the Ready To Wear (RTW) collection of apparel as well. 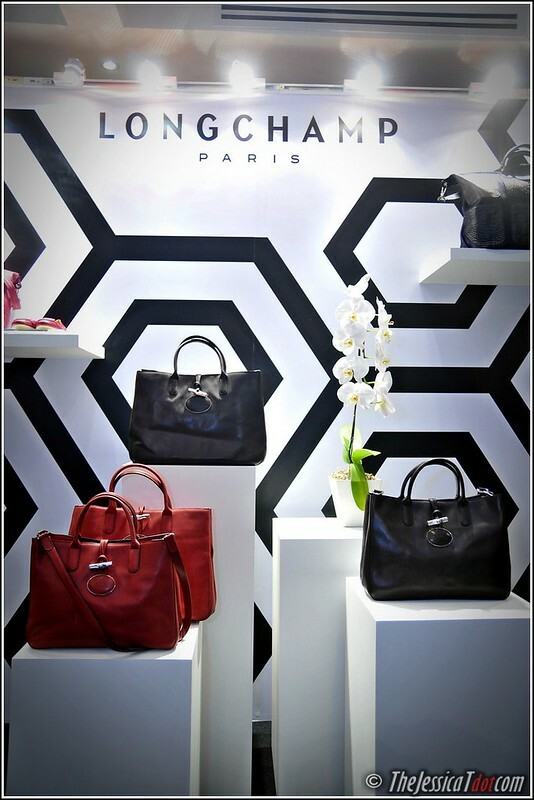 Longchamp interprets the season’s light-and-shade theme in contrasts of colours and textures. In particular, a series of two-tone pieces epitomize the graphic, pared-down mood, to which touches of fur and pops of colour bring luxury and luminosity. Autumn’s silhouette is long and lean, featuring cigarette pants in supple lambskin or warm wool, topped off by cute blousons, maybe with a fox fur collar, or – a more relaxed option – cosy oversize cardigans in wool and mohair. One of the standout looks is a silk jumpsuit in two-tone white and black or black and khaki, teamed with high-heeled ankle boots for maximum leg-lengthening potential. Outerwear is a key focus of the season and ranges from the luxurious – a chic coat combining panels of lamb fur, tweed and lambskin leather – to the sporty, in the form of nylon blousons in the collection’s star fauve and feather prints. In addition to graphic black and white, the autumnal colour palette plays on rich, warm shades of camel and khaki, bronze and cumin. The feather print is at its most feminine in lush plum tones, while an occasional pop of bright fuchsia. Some of this season’s RTW apparel collection. Watch the video of the fashion show below! 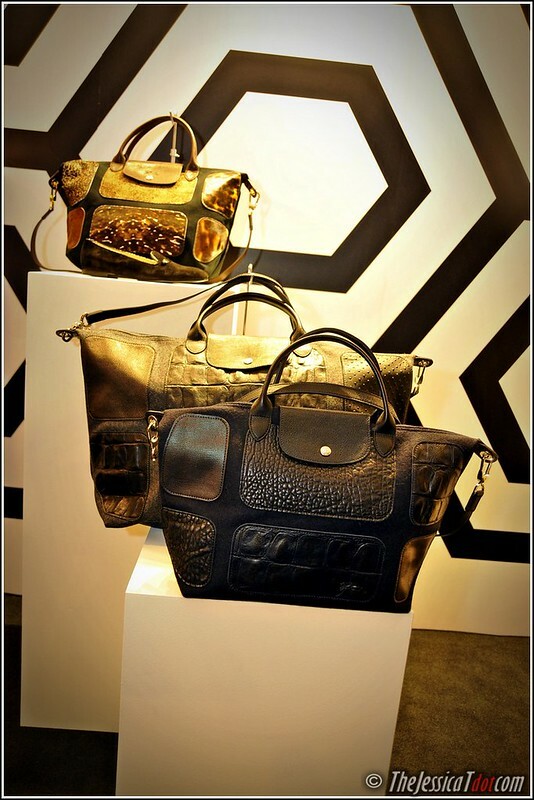 Longchamp Paris’ whole 2013 Fall/Winter collection being paraded on the runway. Before my male readers scroll through this post while stifling a yawn or two, don’t fret. Para pembaca lelaki, sila jangan khuatir! I HAVE NOT FORGOTTEN YOU, BOYS! 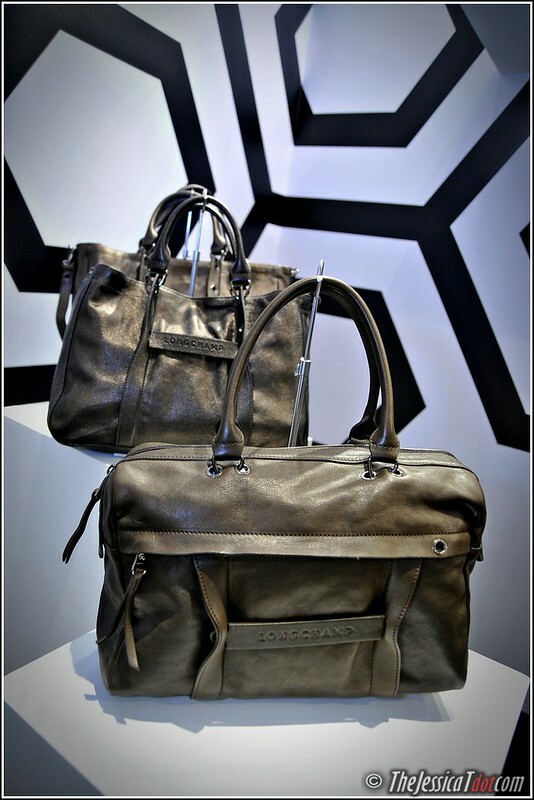 Longchamp’s 2013 Fall/Winter collection offers new lines and new looks for the Longchamp Man. 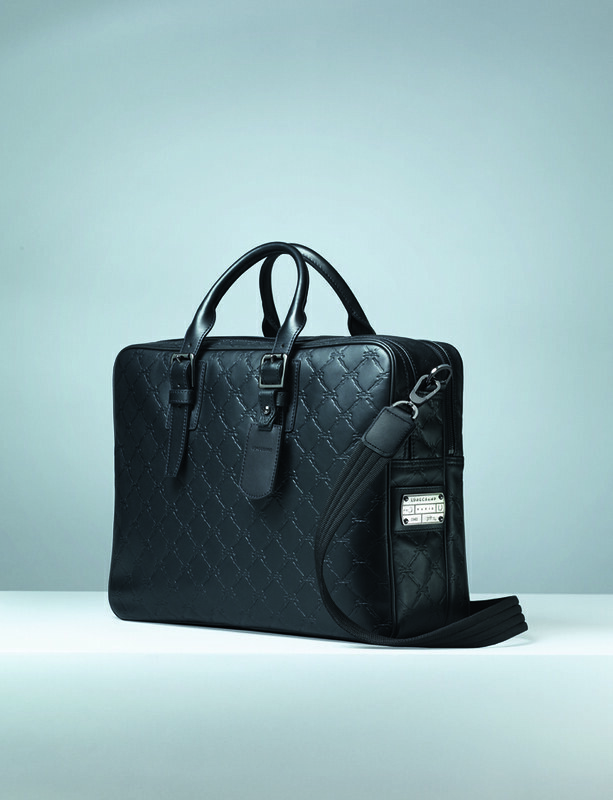 Three new men’s leather goods lines make headline news at Longchamp this Autumn for connoisseurs of fine leather and flawless craftsmanship. We are standing next to the men’s section! 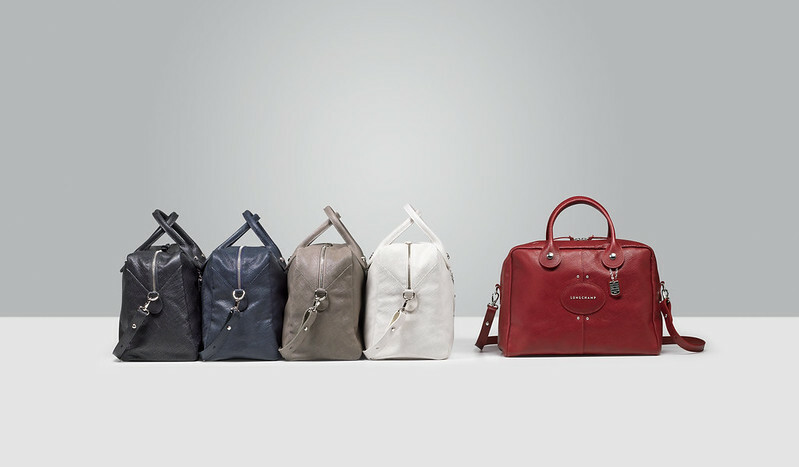 The LM CUIR line – previously reserved for women – is now available for men. 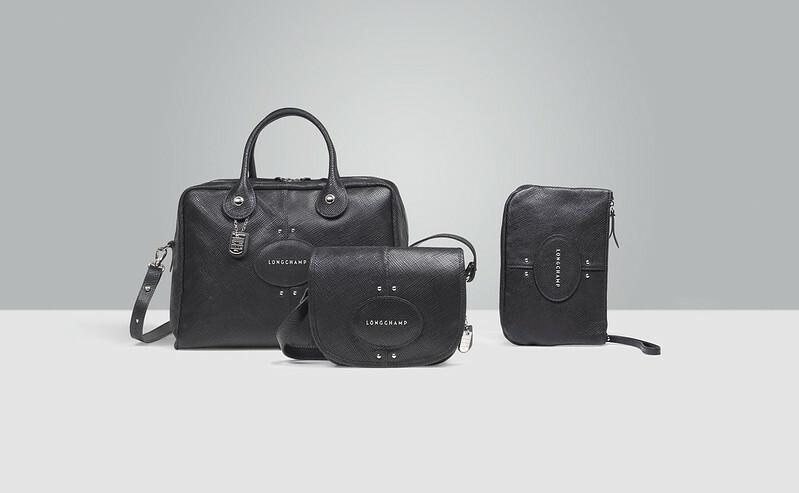 Longchamp’sheritage LM motif of galloping racehorses and crisscrossing bridle straps is embossed on the supple black cowhide of two elegant document holders with generous handles, removable shoulder straps and masculine gunmetal hardware. 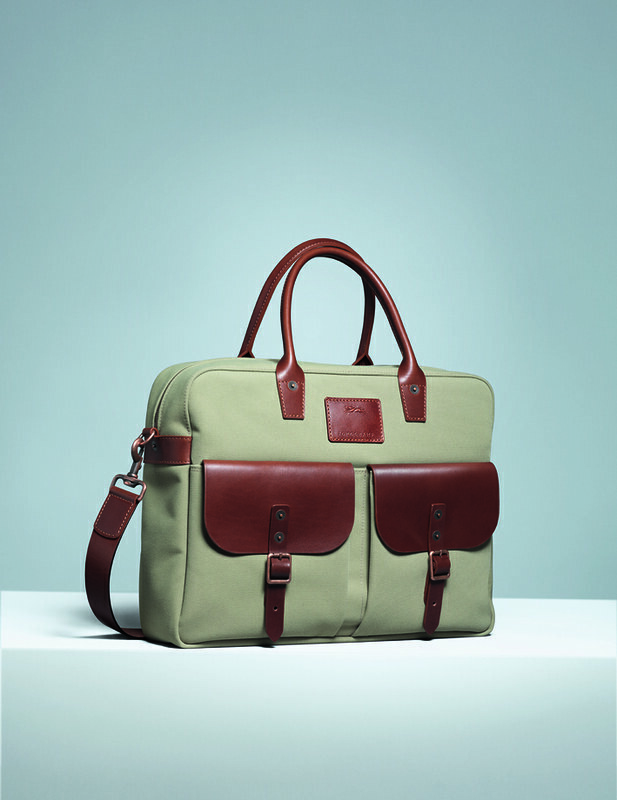 The larger case features two compartments – one padded for a tablet or laptop – and multiple pockets, while the smaller model offers a single spacious compartment. Both cases are finished with the emblematic metallic LM Cuir identity tag. 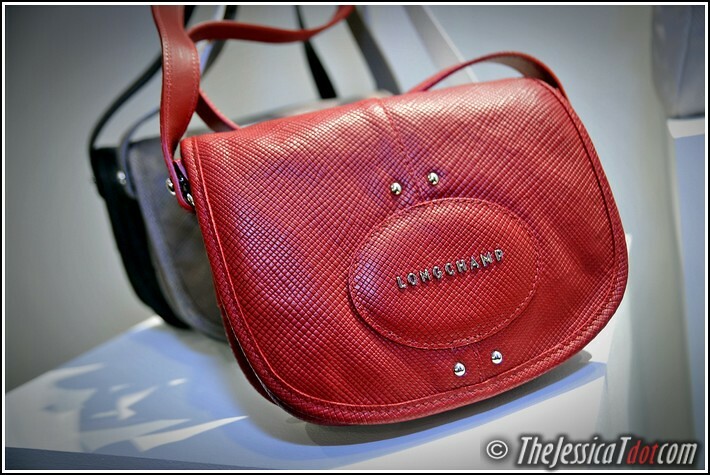 The LONGCHAMP 3D is a resolutely contemporary line that will appeal to urban trend-setters. The graphic play on vertical and horizontal straps that characterizes the 3D collection for women is reinterpreted formen on a fashionable tote and a document holder in soft, supple calfskin discreetly embossed with the Longchamp signature. It boasts a removable leather shoulder strap and address holder, while blacknickel hardware adds a vintage twist to the line’s classic shades of terra, cognac and black. I can totally see my man toting this to the office or work! Last but not least, is my top choice for the men’s department. For men who prowl the urban jungle, the season’s third new line is S@FARI-SUR-SEINE – a name that reflects both its elegant inspiration and its weekend-to-work destination. Beige or navy nylon canvas with the authentic look and feel of cotton is complemented by natural cowhide trim and aged brass-finish hardware, giving the line’s sevnmodels a casual chic style. 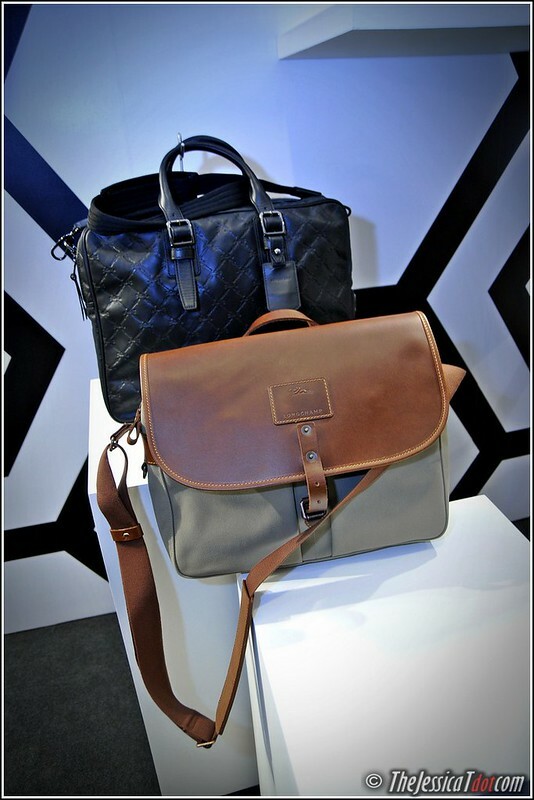 For leisure, highlights include a cross-body bag and a satchel, while business is covered by a document holder with a padded laptop compartment and two roomy front pockets. Both are available in the line’s existing taupe and black colour codes,as well as Autumn’s new cedar and black. 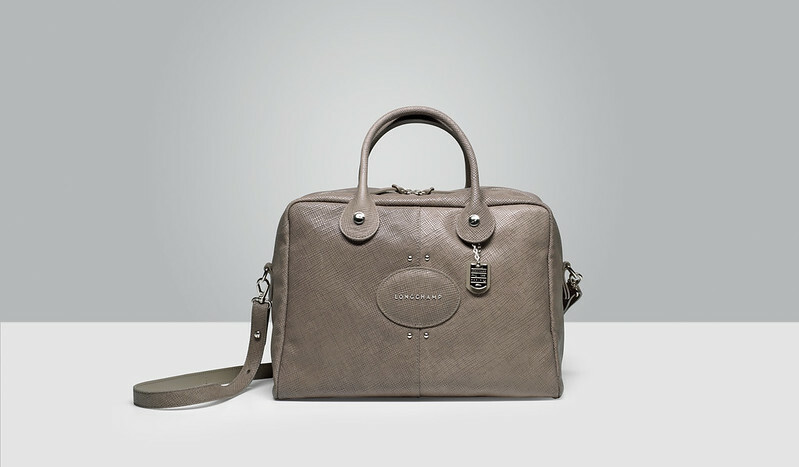 Combining style and savoir-faire, fashion and functionality, the season’s new designs cement Longchamp’s status as ago-to label for modern, trend-aware men. 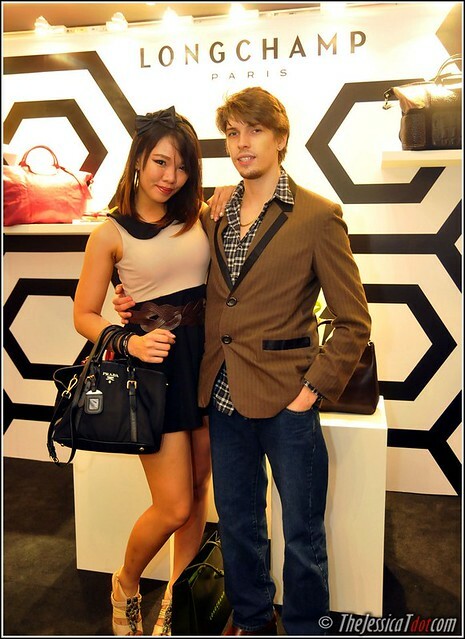 With a combination of both female and male fashion pieces, everyone was happy that evening. 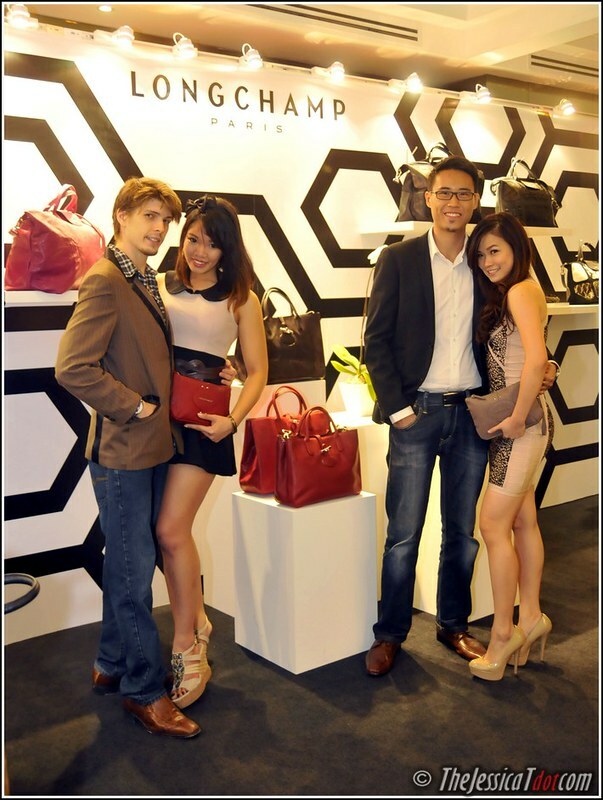 Thank you Longchamp Malaysia, for having me. I had a splendid time browsing your latest collection! 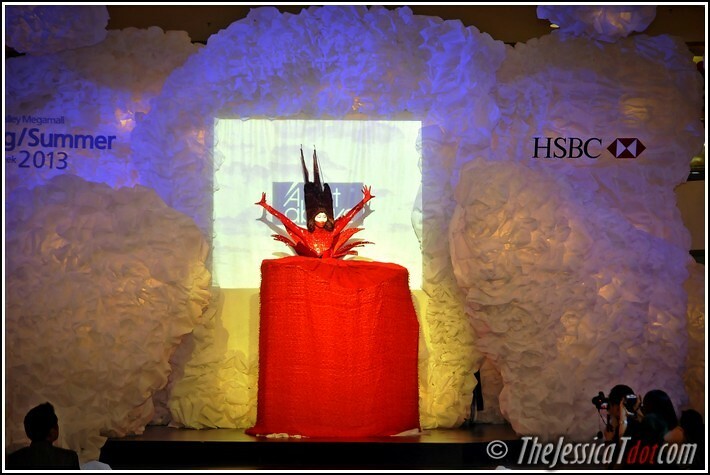 It was a night of never-seen-before fashion taken to jaw-dropping wonder and extreme measures. I gladly accepted the invitation when I received Winnie’s text message one evening. It is my utmost pleasure to be at another one of her marvellous events! Brought my other half to the party with me. Celebrating over three decades (34 years, to be exact!) 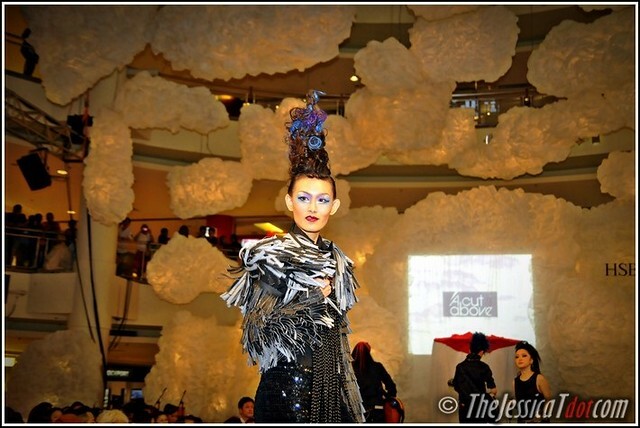 of prominence in the hair industry, A Cut Above threw an out of this world hair X fashion show in conjunction with Mid Valley Megamall Fashion Week 2013. The party was aptly named Amazing 34. 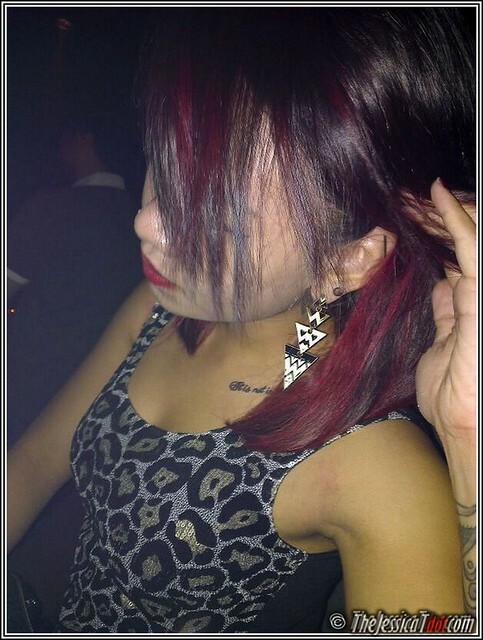 She told me that it was going to be an avant-garde and punk inspired evening. So being me, I stuck to the theme as closely as possible. Here is my top-to-toe lookbook for the event. 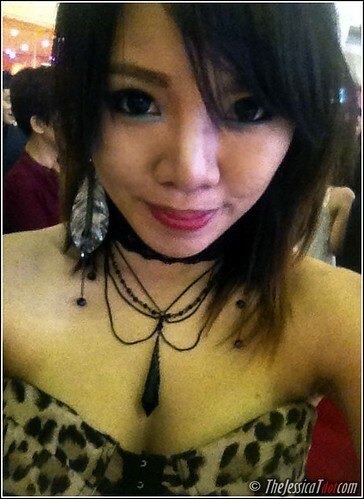 I decided to adopt a glam-rock look tonight. We got there just in time! 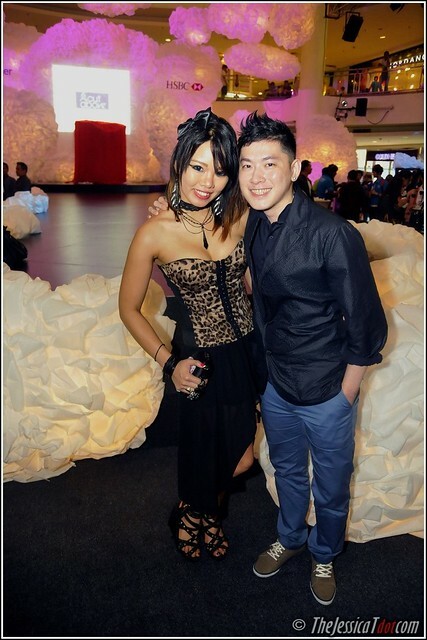 The host for the evening, Chui Ling, had just started to give us guests a warm welcome. 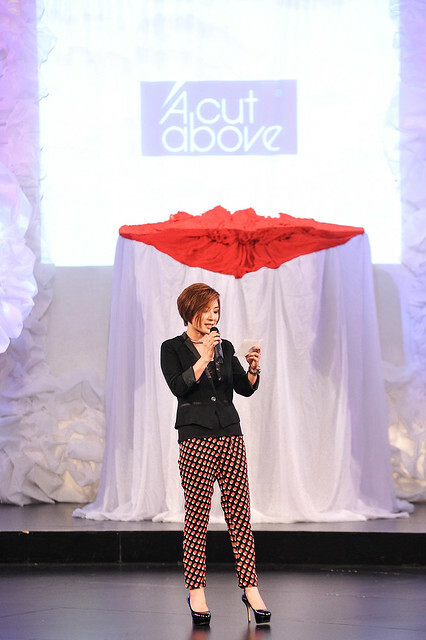 She then called upon Winnie, founder of A Cut Above Group, to join her on stage to make an appearance. I was so glad to see her out and about already and making a seemingly good recovery progress (from her recent car injuries). Her speech was short and sweet – as always. promised that we will be wowed by what we were about to see. And oh yes, I believe her! (with my significant other in tow!) to get the best view. 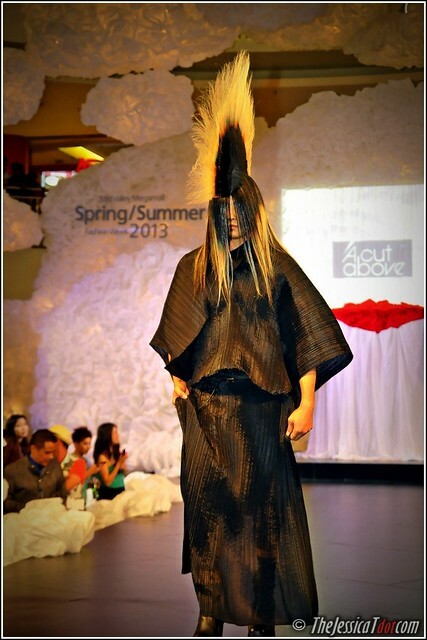 Tonight featured three distinct themes: punk, edgy runway trends with a twist, and the avant-garde. Let’s take a look at the first one, shall we? PUNK – here we go! Local band An Honest Mistake looking mighty punk-ish tonight! 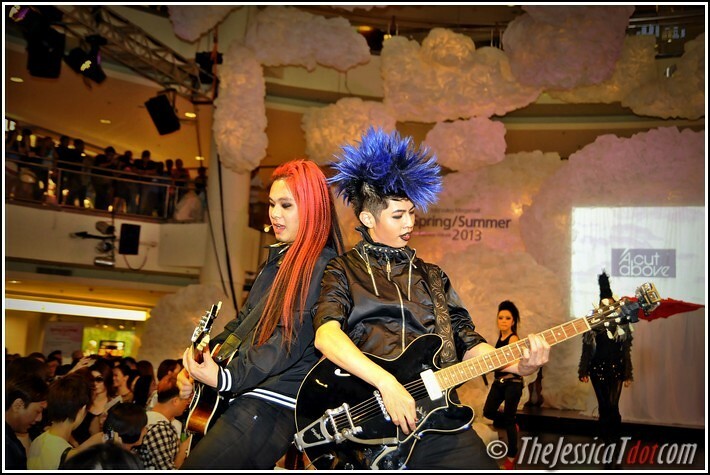 And with the blue mohawk (wig) hairdo? It goes pretty well on him! 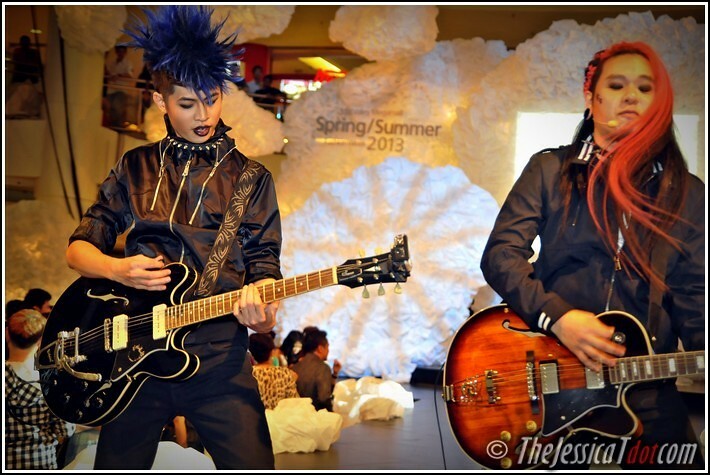 Darren and Leonard rocking the stage on electric guitars! I’ve always been a fan of punk, alternative rock and easycore music since high school. 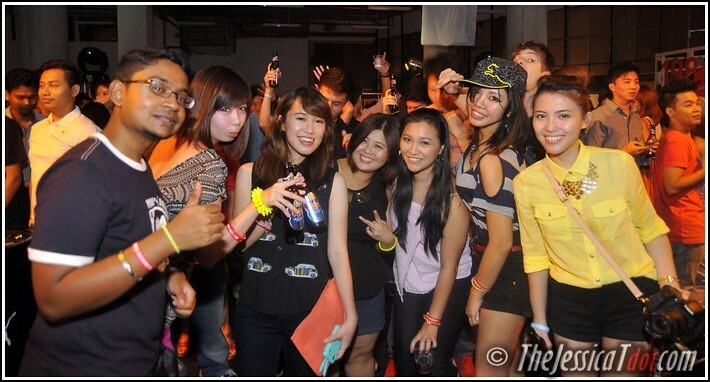 Had fun headbanging with them with the crowd! 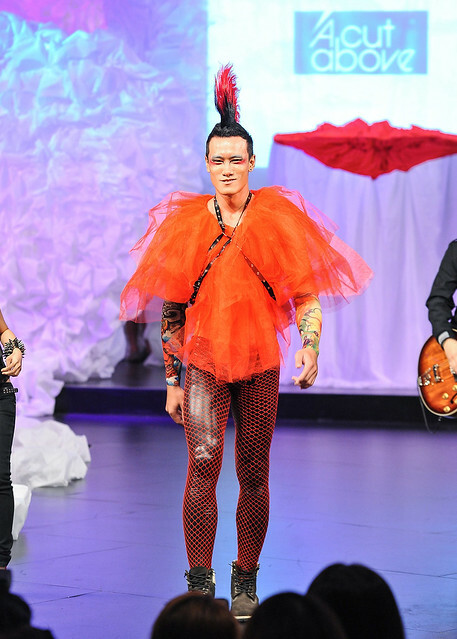 While they were performing, a bevy of models began to sashay down the stage showcasing trendy runway coordinates with an edgy twist and attitude to boot! 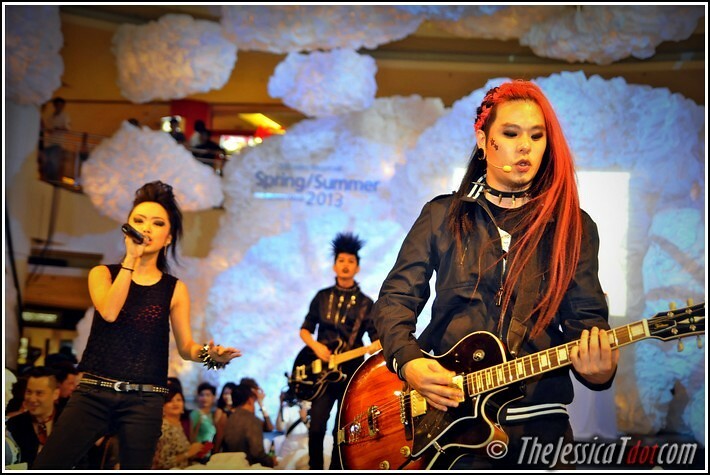 How often would you see a band playing their songs with a fashion show happening in unison? 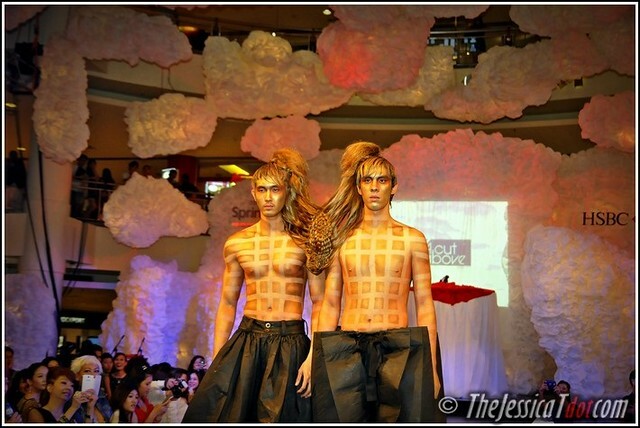 Yup, definitely not the typical hair/fashion show you would expect. 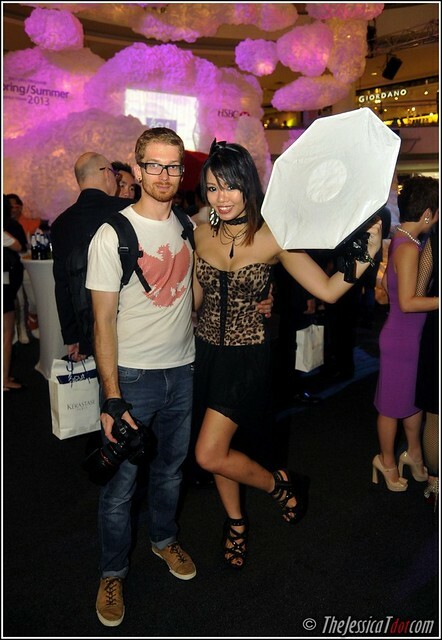 Oh and if stylish pieces and latest outfits are your thing, do check out www.enni.net.au. It’s a online apparel store based in Australia. 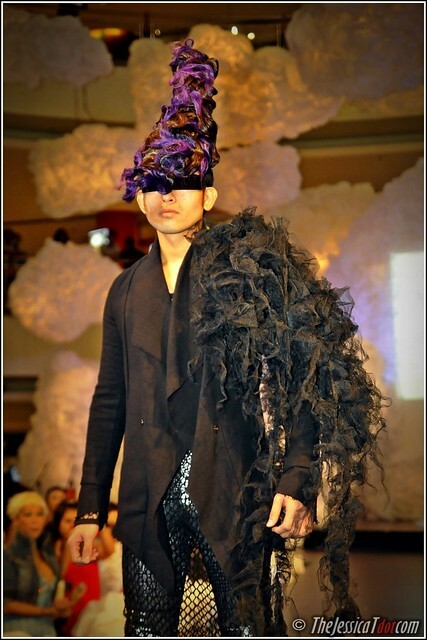 Yup, that’s your doman of fashion right there! 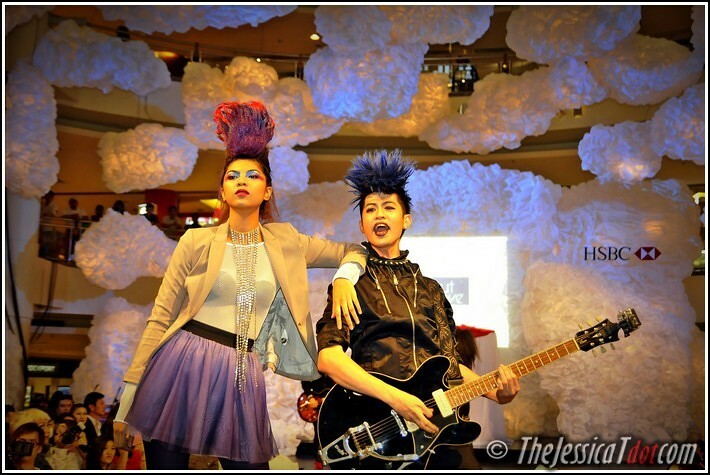 Another hair-raising glam punk fashion in view! Quite literally too. Once that was over and done with, a series of avant-garde collection stole the limelight the moment models adorned in experimental fashion strutted the catwalk. 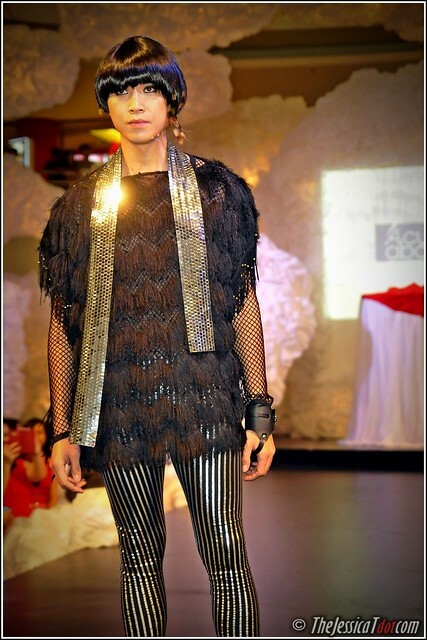 I managed to shoot each and every style paraded on the runway. Let’s have a look at them, shall we? This reminded me of a prison inspired uniform with a cushioned overcoat! A giant velvet bow adorned his collar. His lips were of powdery white, and so was his hair. I’ve seen some fashionistas donning this look lately! This model had a dual coloured trojan-mohawk. Brown on his left and bright red when he turned to reveal his right! 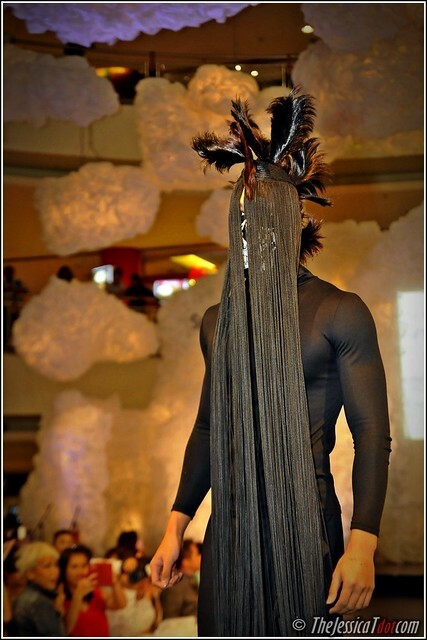 long flowing “hair” and looking like a dangerous cross betwen Darth Vader X skull face. I honestly don’t know how he can see while catwalking! 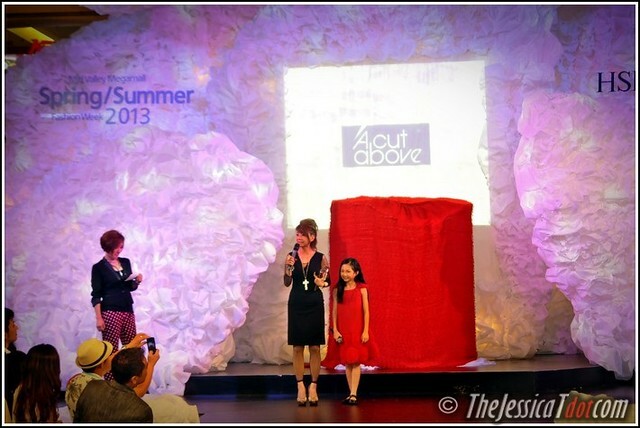 on stage and I even held my breath with every step she took! 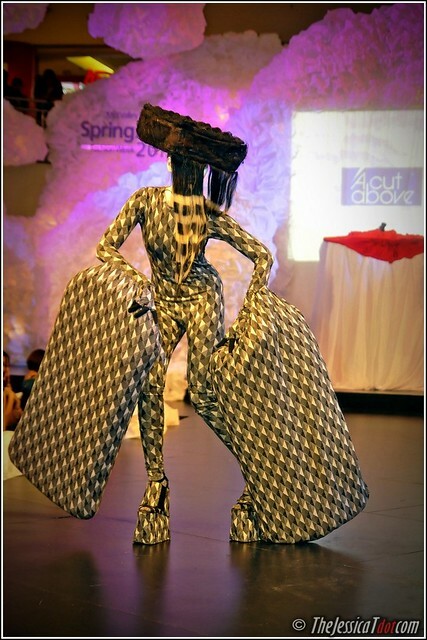 catwalked on the runway on stilts and threw a few stunts too! Doesn’t this look like a giant optical illusion? 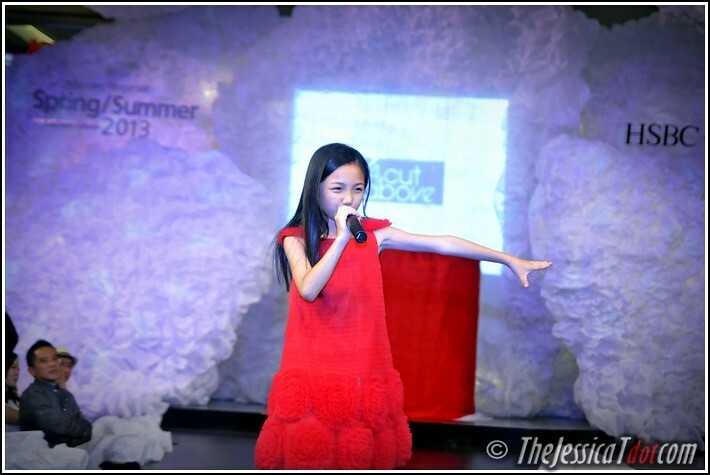 The final performance was a very dainty and sophisticated one. It was interesting to see how ballet and hair were fused together. 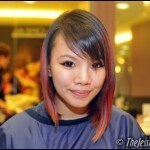 While ballet dancing, this nimble and quick artist transformed her white hair almost entirely to red! 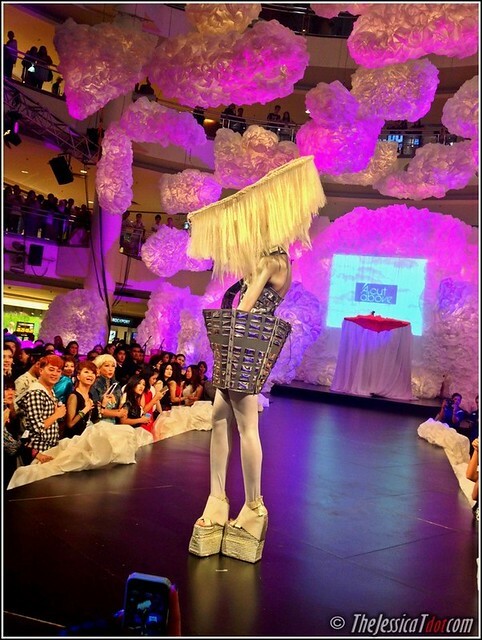 Amazing 34 was indeed a visually arresting showcase of both radical hair and fashion works of art. I was wowed over completely. It may have taken only a few minutes for each model to exhibit each fashion statement, but the amount of effort, designing and styling by the creative minds at work behind everything we saw tonight certainly deserved a standing ovation. humongous crowd witnessing the unique display at Amazing 34 that night. Just when you thought the show was over, A Cut Above had another surprise in store for us all. The larger-than-life sized red centrepiece which we all thought was just a prop started to move about. And the final model of the evening emerged! Everyone, myself included, was startled but pleasantly surprised! She reminded me of Queen ‘Padme’ Amidala from Star Wars. Although appearing mildly menacing, her moves were graceful, and her gestures, elegant. This wasn’t in the day’s agenda, but looks like the surprise element came from someone else this time. Guess who decided to surprise our dear Winnie instead? Winnie giving her speech of gratitude for a successful night. It’s always beautiful to see the mother-daughter love between them; so sweet and moving! 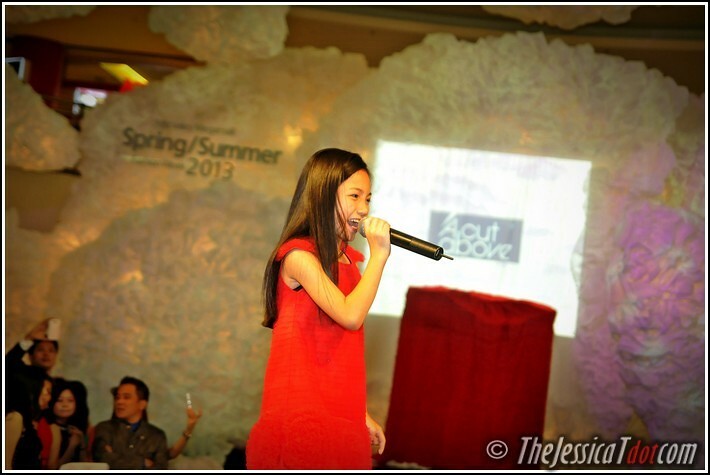 The event came to a closure with the fashion designers and stylists making their way on stage. 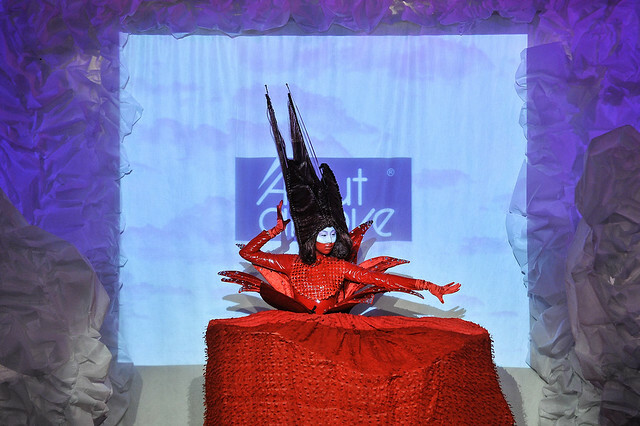 A thunderous applause followed thereafter, for without the entire creative team behind this brainchild, we would not be able to even catch a glimpse of such challenging and meticulously-crafted masterpieces of fashion! 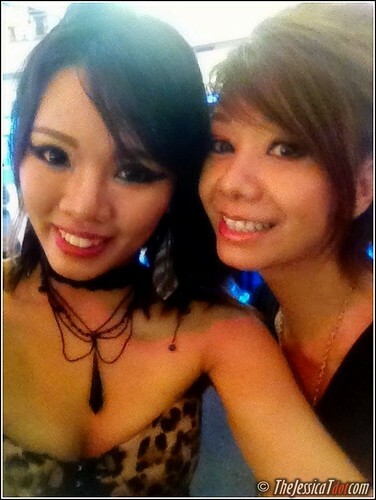 Winnie was extremely busy buzzing about everywhere but I managed to catch her after the show! She still looked so gorgeous and glowing even by the end of the day. 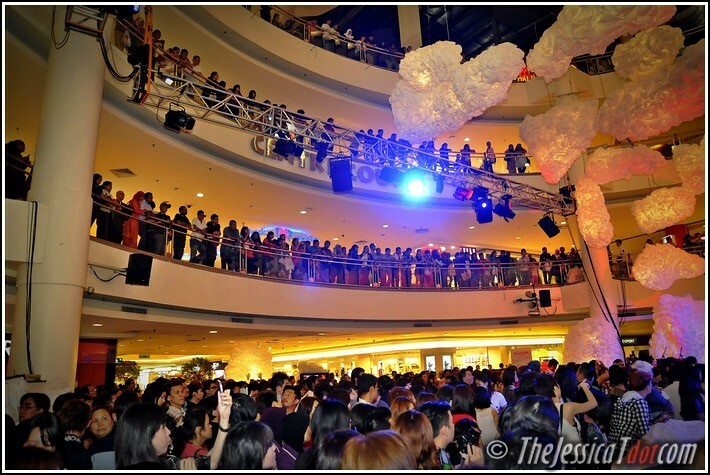 I would be so stressed, frazzled and sweating buckets if I was the one hosting a show as huge as this! Back to back with my favorite hair personality of all time, Winnie! Thank you for a wonderful Tuesday night of a spectacular, out-of-this-world fashion and hair party. 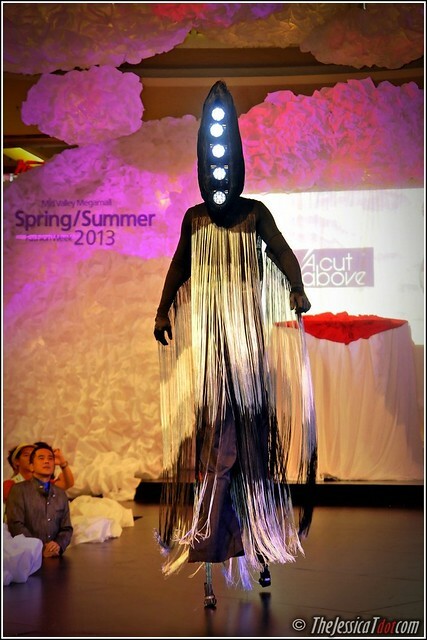 A Cut Above never fails to impact their guests with of the most eye-catching and trend-setting that ever existed. With Edmund of A Cut Above. Thank you too, for the invite! Ohai! 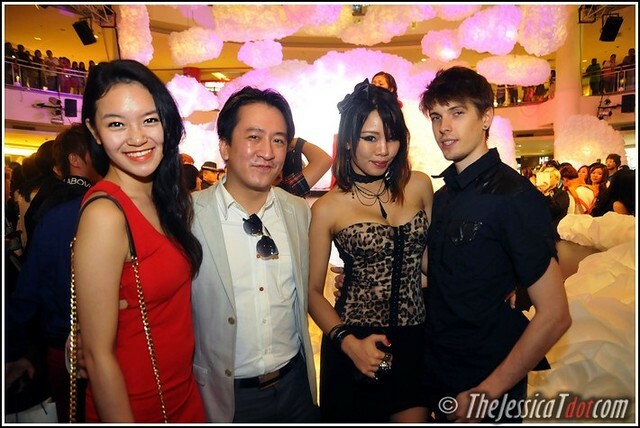 Bumped into Josh and Olivia at the party too. We were standing beside each other during this entire time and I didn’t even realize till after! 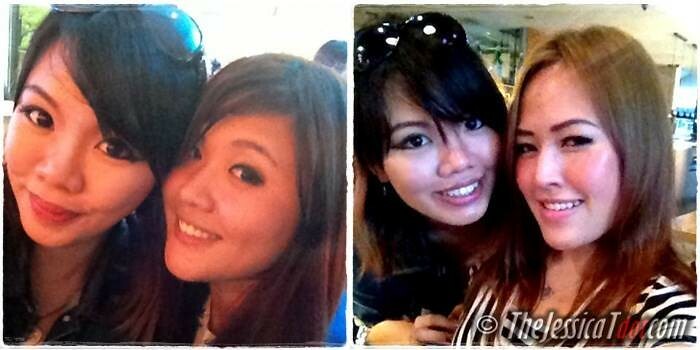 bump into each other whenever we shoot events. Expect a collabo soon! 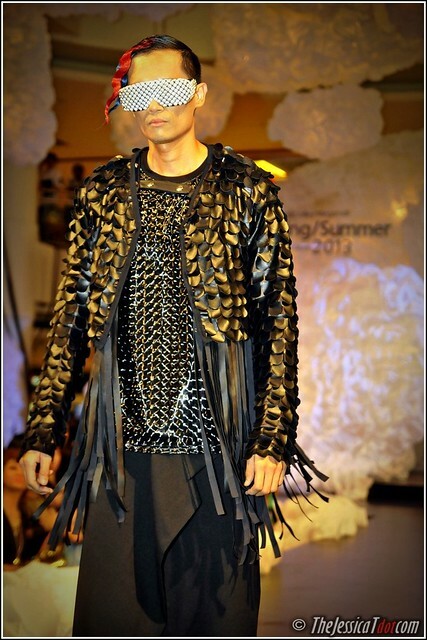 catwalks by the way, thus hailing him as the catwalk guru! To me, this party was more than just a celebration of 34 years of excellence. It was no doubt, a hallmark and pinnacle of modernism in the domain of fashion and hair. Breaching boundaries and departing from practical guidelines of fashion as well as society’s usual expectations of style and appearance, tonight was hands down, a cut above the rest of all the other fashion week events I’ve attended this year! 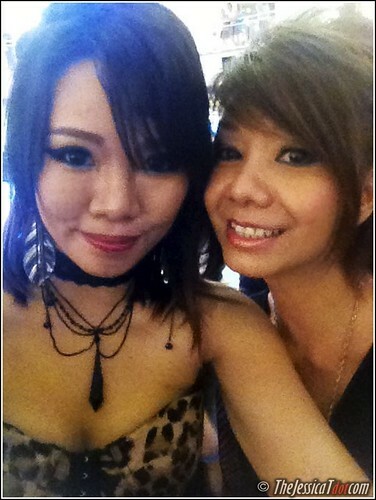 Kudos to the mastermind of the entire concept behind A Cut Above’s Amazing 34! One more thing, most of you always ask me where I usually get my hair done. I have only one answer – where else but A Cut Above? Out of all the hair salons that I’ve tried, I only recommend and trust A Cut Above to give you only the best of anything hair-related. 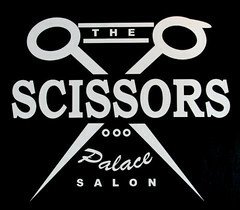 From hair cuts, hair treatments, to hair makeovers or anything at all, rest assured it’s handled by the experts! 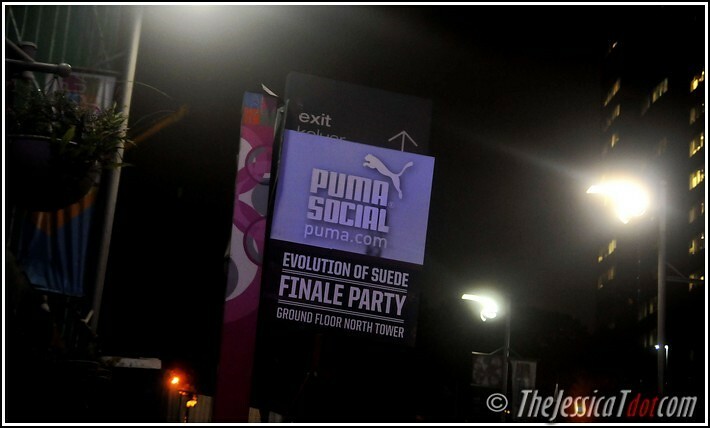 Upon getting back on my feet after discharging from the hospital, I received an invitation to party VIP style at the finale of PUMA's Evolution of Suede. 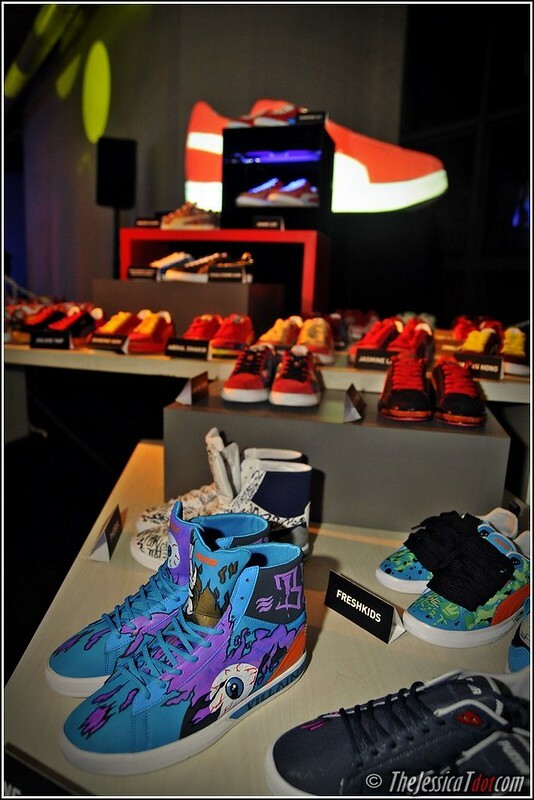 This got me all excited as I am a ardous fan of sneakers/kicks and love all things urban & street cultured! 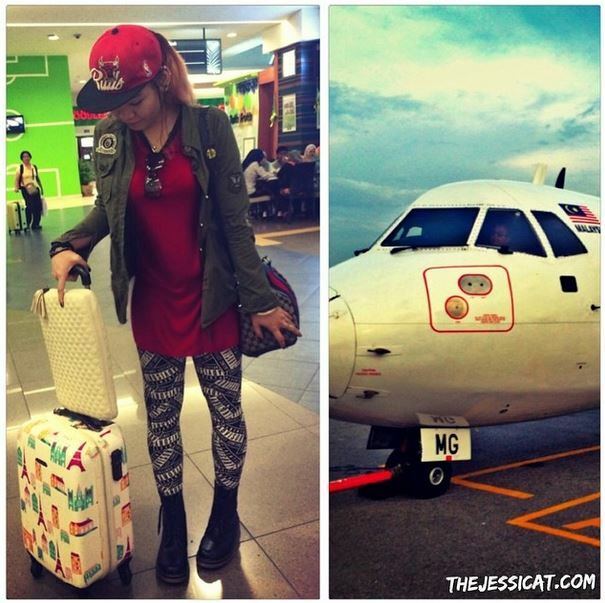 I arrived Capsquare KL on time and it wasn't difficult to spot the event venue at all! It was brightly-lit, cheery and jostling about with media and guests. The loud, booming music certainly helped too. The concourse area. Can't wait to enter! Swanky, boppin' hip-hop, rap and RnB tunes of the 1990s to the mid 2000's YO. I recognized them instantaneously and knew all the lyrics by heart YO. Ya'll know what this is, this yo' girl Jessicat. But first, formalities. Signing on the guestlist! 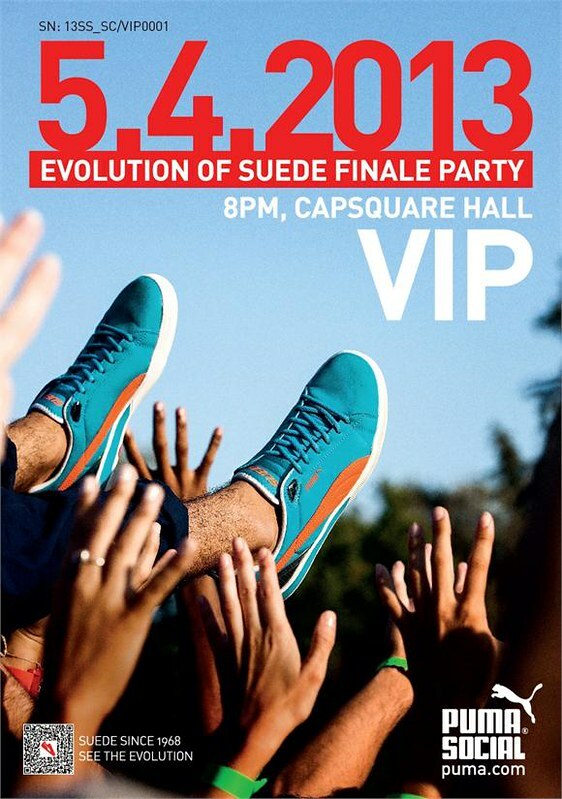 PUMA's Evolution of Suede has reached its peak and now concludes the series of parties with the Evolution of Suede Finale Party! 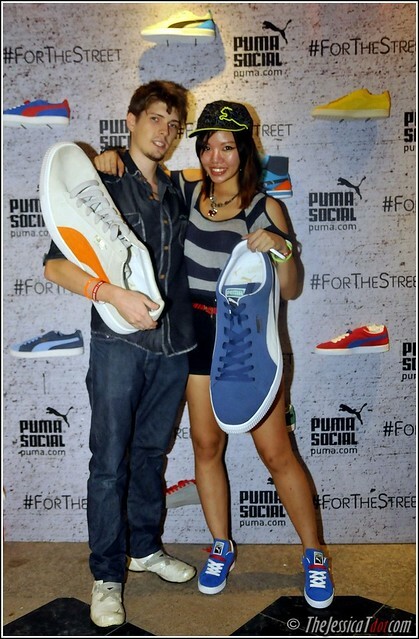 This For the Street party celebrates PUMA Suede’s 45th year in the game change and marks the release of the Future Suede. Street culture was my thing as a boisterous teen, back in the day. 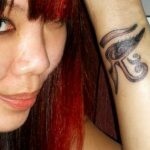 All those hip-hop, grafitti art, metal street fences, breakdancing, sidewalks, brick walls, spray paint cans – I knew that all too well! I particularly felt the inner street rebel of my past clamouring for attention. Come to think of it, I should have came dressed in my baggy pants, tank top, NYC snapback cap, bling metal chains and walk like a thug. Haha! That would be a sight to see. Imma be so gangsta, there wont be no recognizing this homie, ya'll. 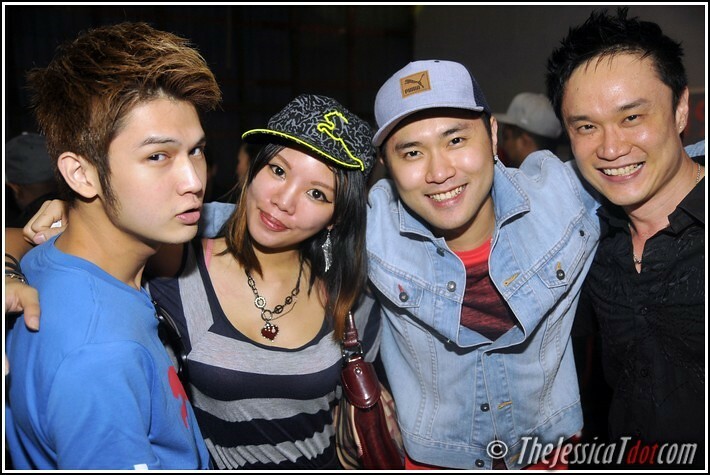 Mr. Dan and Shikara, two prominent personalities in the Malaysian hip-hop scene were the hosts for the evening. 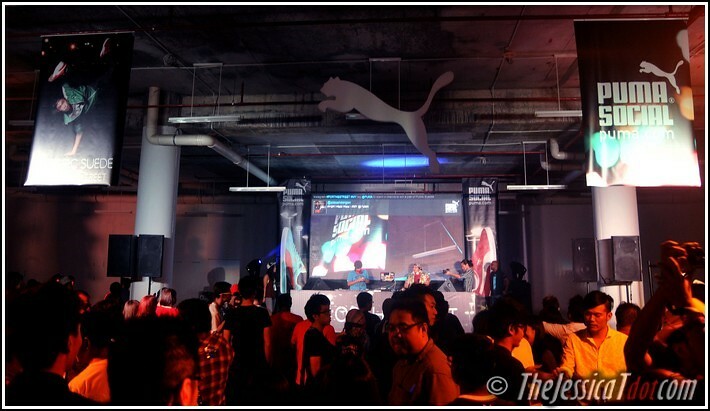 A live graffiti performance by graffiti artist, Newba and live shoe designing booth were manned by graffiti artists, Bee of PHBKLK, Iqbal of Fresh Kids, Carpet, Katun, and Nenok. I watched them attentively as they worked their magic fingers with their tools of trade, marker pens, sprays and colours. 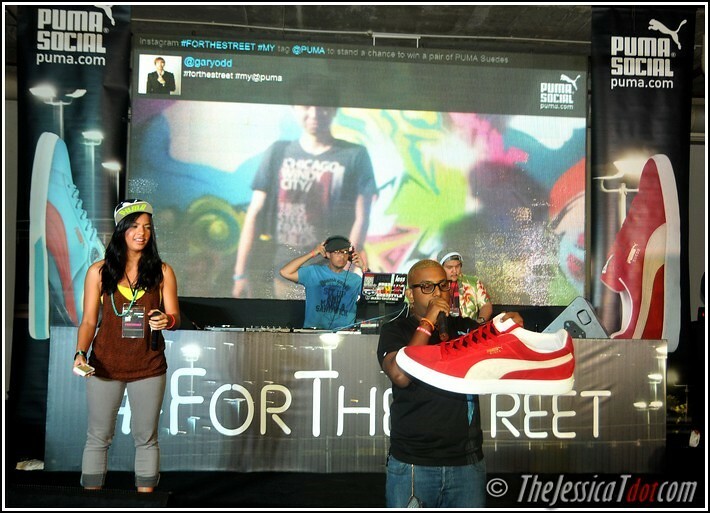 I almost wanted those artists to graffitize my sneakers! Should have brought my plain white ones for them to go crazy with. Koujee will be performing in a short while, just you wait! 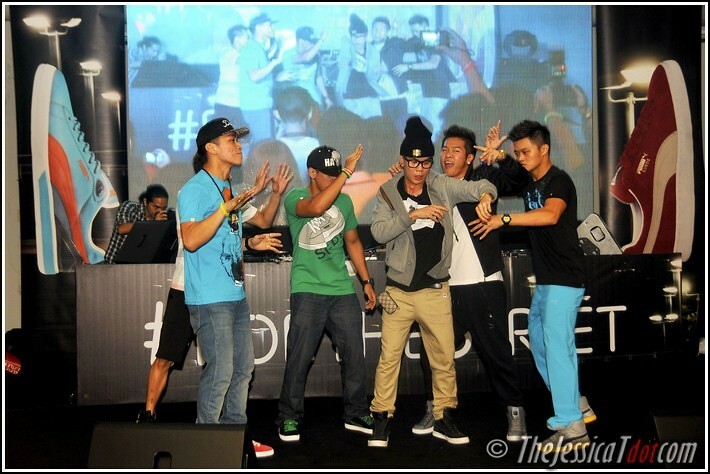 The night kicked off with a performance by the winners of Showdown 2011, Elecoldxhot. I've watched them plenty of times before and I'll never get tired of them. with the progression of the hip-hop dance scene from the late 90s to its present form. 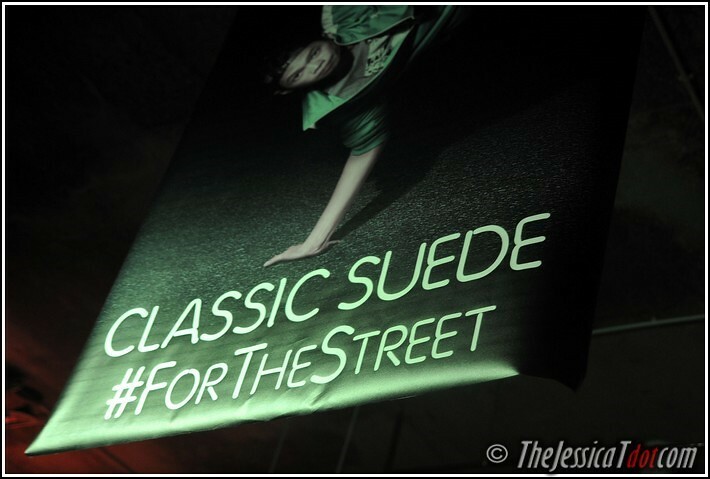 Very apt for the theme of this For the Street event, I must say! 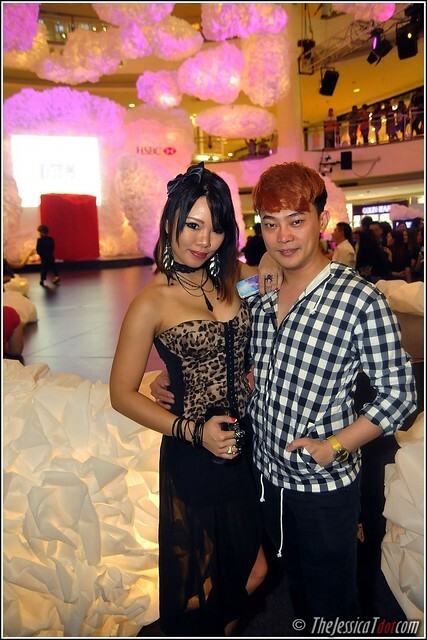 After their performance, the boyfie and I went exploring around the zone to check out a few other epic, life-sized shoe designs. Proud to say this one was done by my friends Miranda and Kevin (my former colleagues in the print media industry). Nice one. I recognized it instantly! 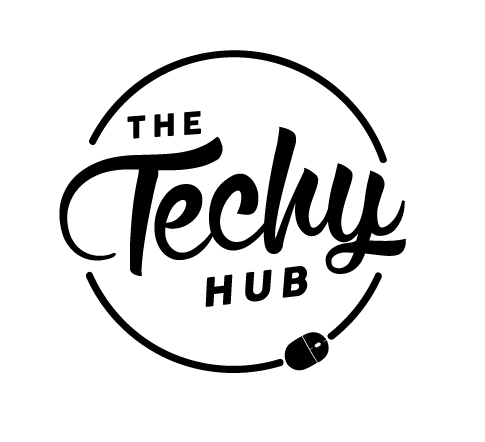 See the CMYK motif and other print symbols? 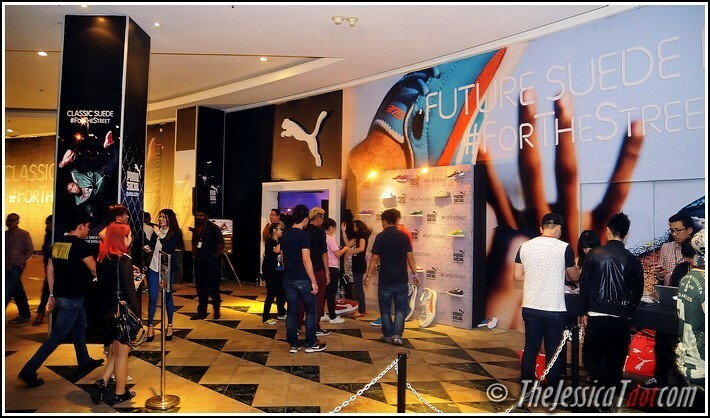 There was also an exhibition of the top 30 designs selected from the 160 entries received for the 2058 Future Suede design contest. Behold, the various masterpieces of 30 artistic people's vision of the 2058 Future Suede! 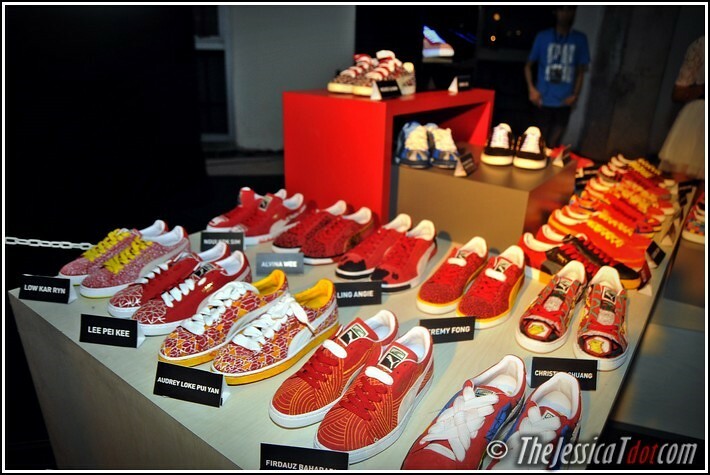 The sea of red sneakers! Check out this eclectic blue high-tops with the eyeball! 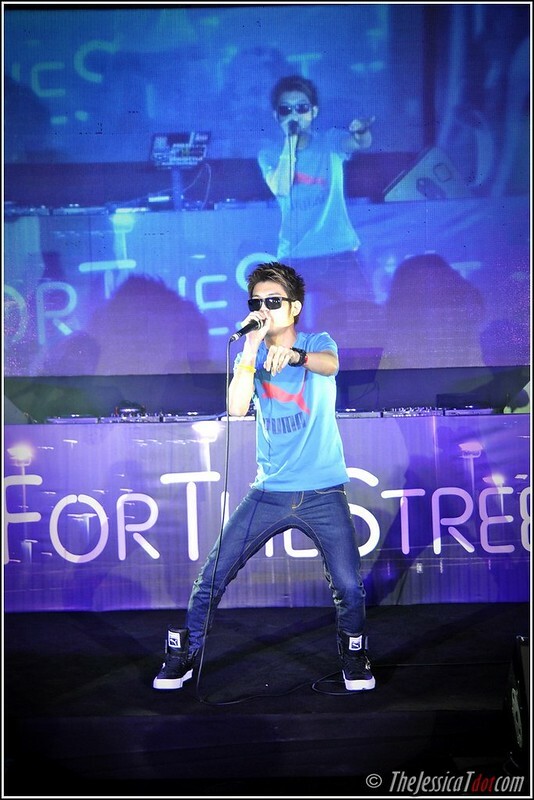 Soon after, we were entertained by a beatbox performance by Koujee. He interacted with the dance floor superbly and dropped epic sounds from his voicebox! 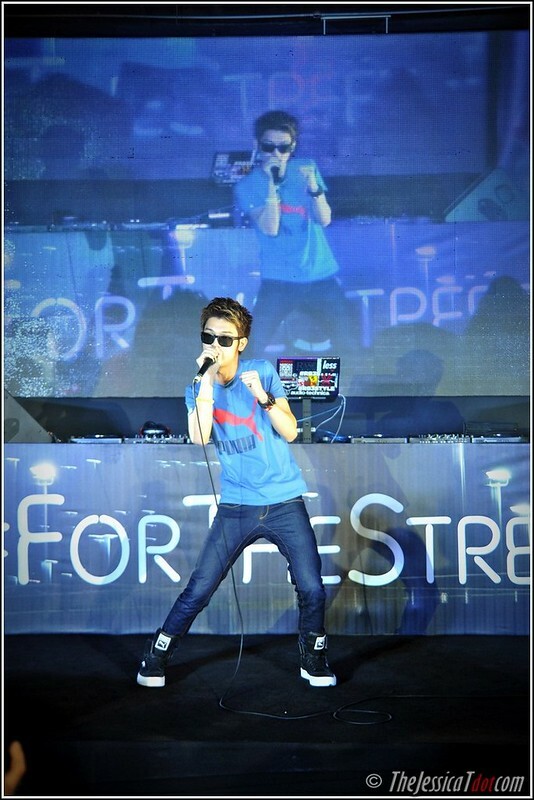 Think hip-hop, rap, RnB and EVEN DUBSTEP. Koujee's beatboxing was smashing! It got me booty-shakin' to the beat and vocal bass. It's been a long time since I've partied to RnB tunes. Wih some friends at the dance floor! 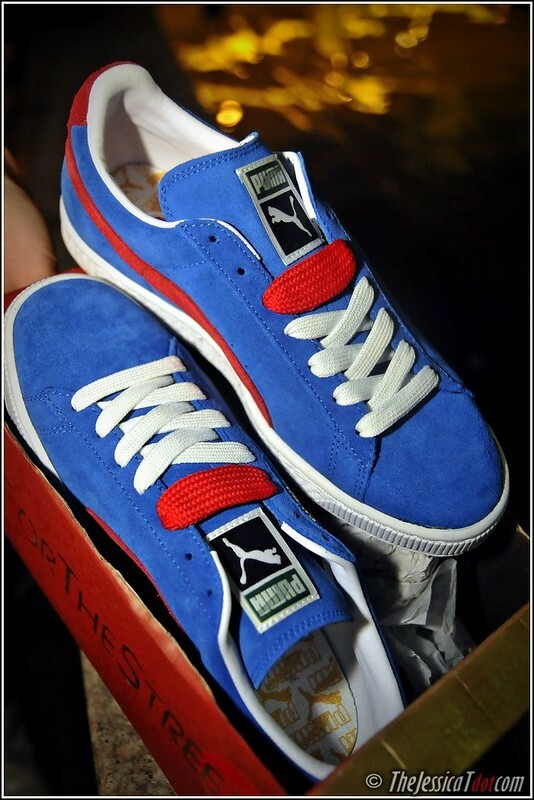 Oh, which reminds me, I would like to thank PUMA Malaysia for sponsoring me the gorgeous predecessor of the Future Suede last month – the Classic Suede. It came in many variants, but this was the colour combo of my choice! This suede beauty is made from the underside of lambskin. Loved the contrasting colours. Here's a close-up of my new Classic Suede. So close that you can even see the fine, suede material! 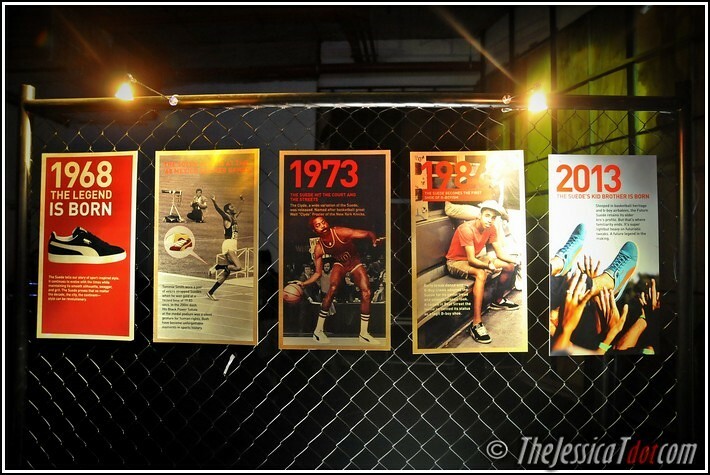 While tonight's finale event signals the end of the PUMA Evolution of Suede campaign, I know the legacy of PUMA's classic heritage and future evolutions will never be a thing of the past. 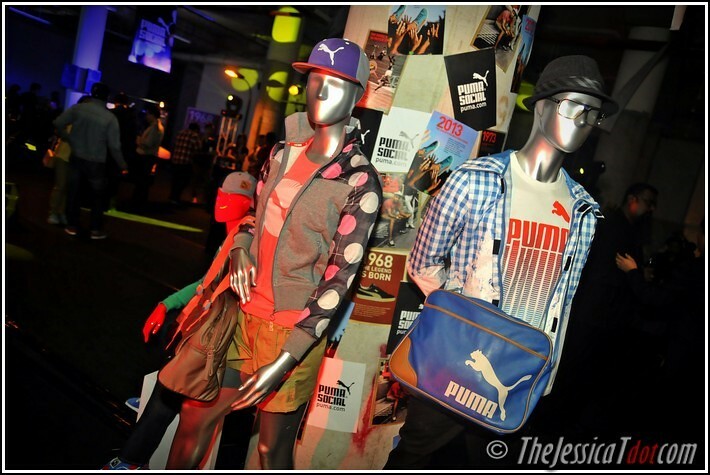 PUMA's Evolution of Suede will live on, just like the culture of hip hop and streetwear, so long as the legacy is still loved by many suede fashionistas around the world. For more on the ‘Evolution of the Suede’, visit: www.madeforthestreet.com. 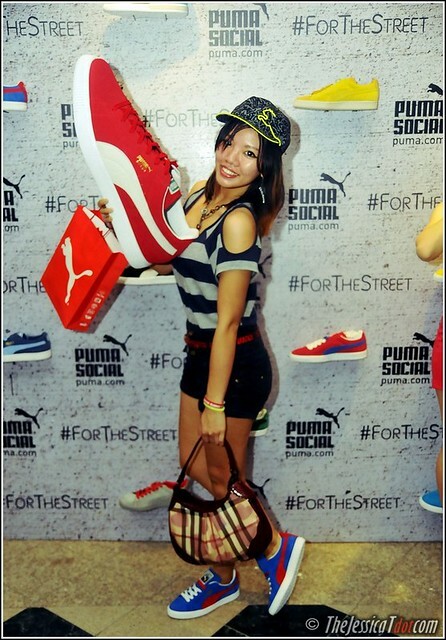 You can also check out PUMA's official Facebook page or #ForTheStreet and @PUMA on Instagram and Twitter. futuristic tweaks but retains the signature Classic Suede of 1968. 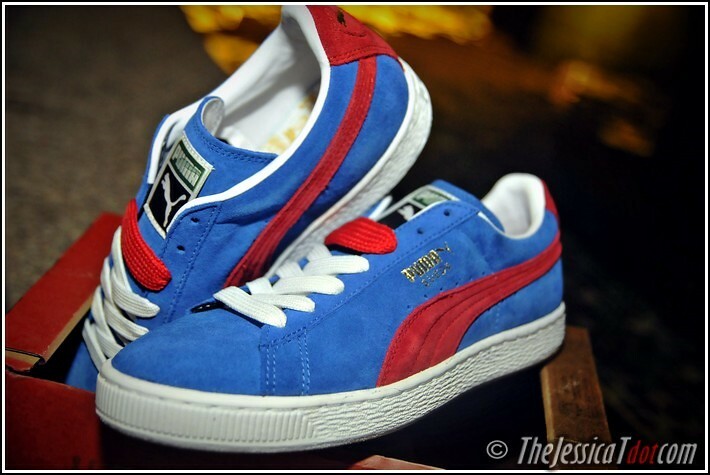 Here's one of the other variations of PUMA Suede. 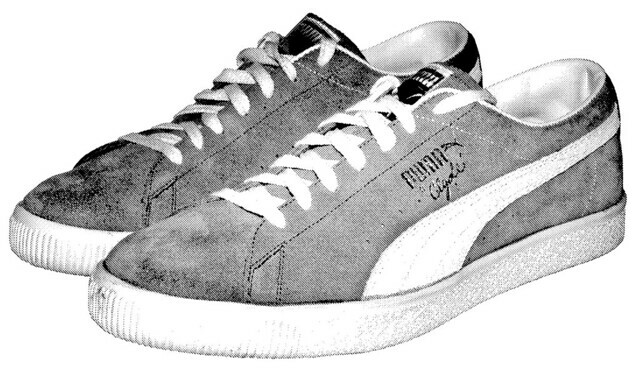 The PUMA Clyde made in the 1970s. Ugly? Puh-leese. It's cooler than you think, YO. Wore them at tonight's party in the spirit of the new Future Suede! Go get the brand new Future Suede, people! I just might! I think my Classic Suede could use a lil bro to keep him company amongst my collection of other sneakers. The PUMA Future Suede is now available at PUMA outlets in 1 Utama, Bangsar Village 2, Pavilion KL, Queensbay Mall, Sunway Pyramid, Suria KLCC, The Gardens and retails at RM229. Wanna know some beauty secrets used by British royalty? You never would have guessed. 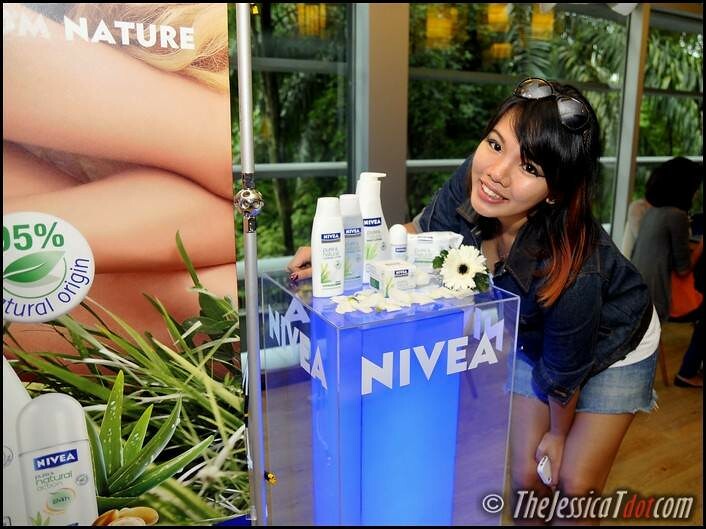 A brand new skincare line was ready to hit the shelves of Malaysia – NIVEA's Pure & Natural range! 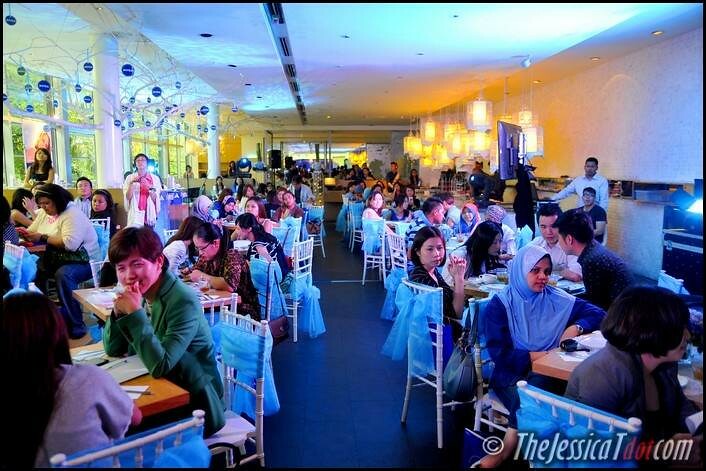 The theme was blue and white, held at a distinctively British garden-concept restaurant: Delicious Cafe. 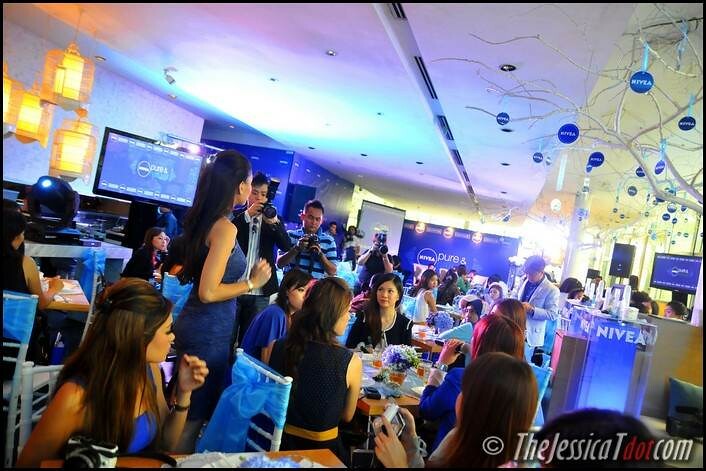 It was a private function where a sneak preview of NIVEA's latest Pure & Natural line of products would be launched over a delightful fare of afternoon tea. 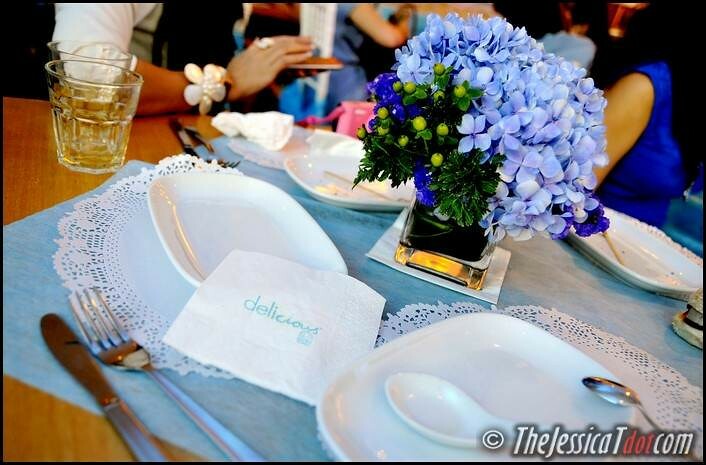 Delicious Cafe was turned into an enclave of various shades of blue with a hint of white. Bright turquoise bows were tied neatly behind every garden chair and each table was seen decorated with petals and garlands of daisies and gerbera blossoms! 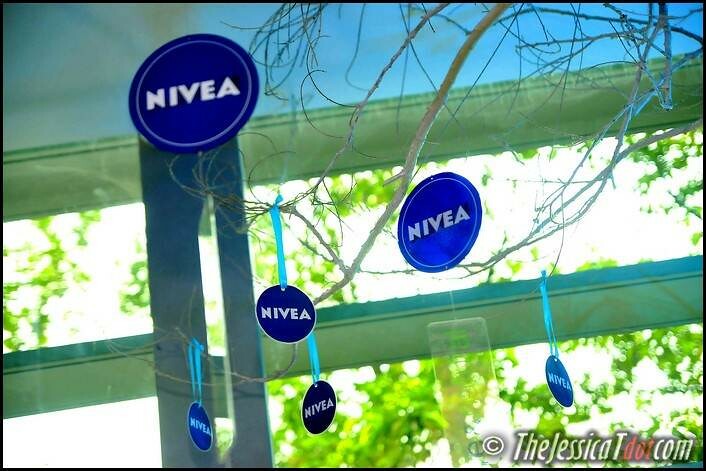 Cobalt blue miniature NIVEA decor hung from branches that sprouted from the pure white pillars of the restaurant. 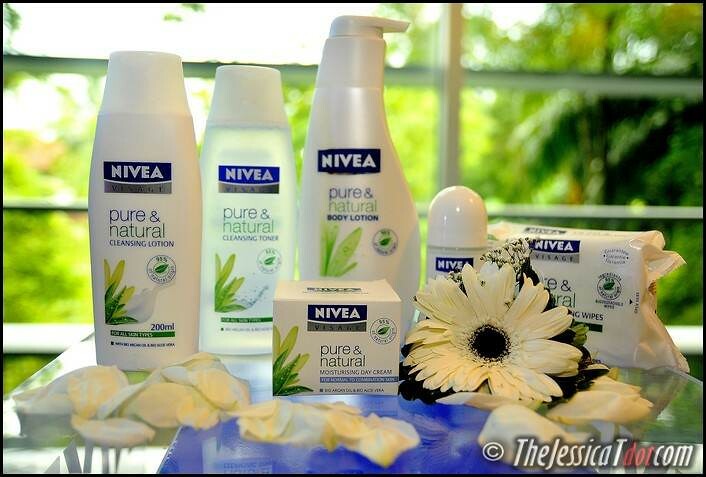 Here's a closer look at NIVEA's new Pure & Natural range! 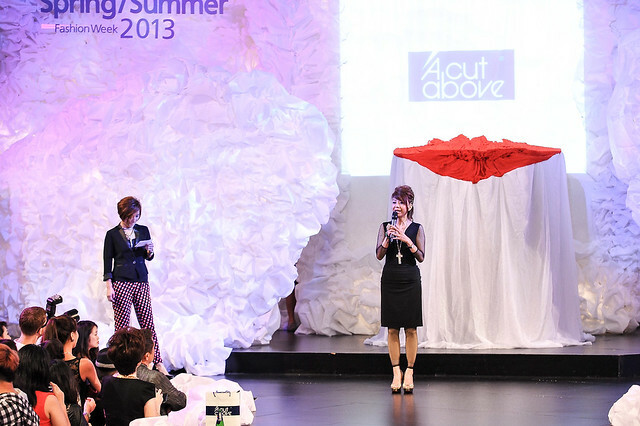 This live presentation allowed guests to fully comprehend the benefits and all there is to know about using NIVEA's new Pure & Natural skincare range as well as how to use them. After all, wouldn't you like to be well-educated about a product before you slather it all over your face? It was applied on a cotton pad and wiped gently on the skin of her face. This cleansing lotion gently removes make-up and dirt effectively! It was dabbed gently all over her face with bare hands. This toner helps in tightening pores and revitalize skin. The moisturizer was warmed between her fingers and gently spread and massaged upwards onto the face. It ensures skin stays supple! Thin skin is also repaired with intense 24-hour moisture and freshness. 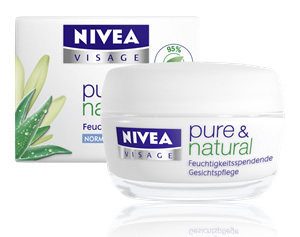 This rich moisturizer is the star product of NIVEA's new Pure & Natural range! 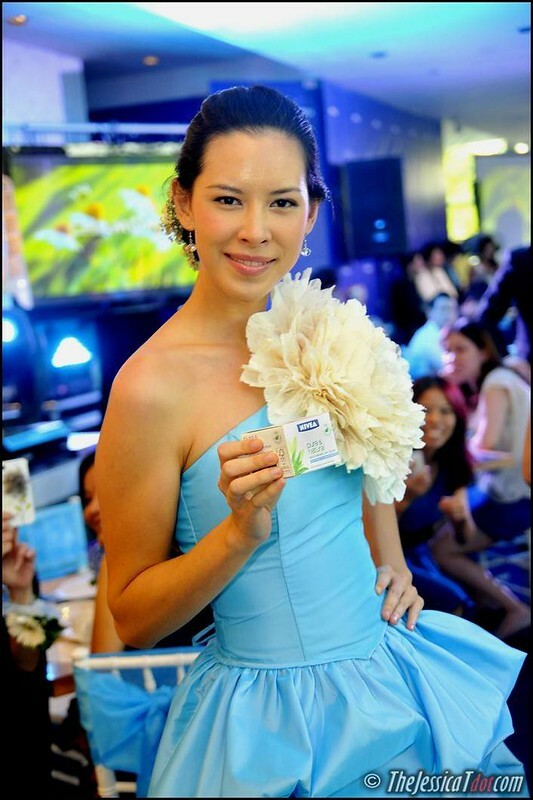 I've some really interesting news about NIVEA's new moisturizer to share – a royalty's beauty secret! Recognize the glamorous lady on the left? The Duchess of Cambridge, Princess Kate Middleton, was recently spotted buying NIVEA's new Moisturizing Day Cream at the Boots along Kings Road in London! The whole collection not only includes facial skincare, but also body lotion, cleansing wipes and deodorant! We were then captivated with a fashion show by designer Dominique Chan's Princess collection of dresses and evening wear. 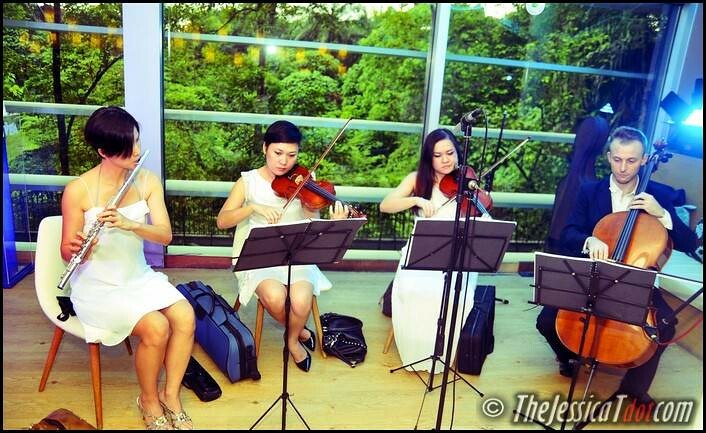 How apt for the girly and princess theme of the event! Ready for some ravishing floral & elegant fashion designs? The fashion show was held simultaneously when the afternoon tea-buffet was served. 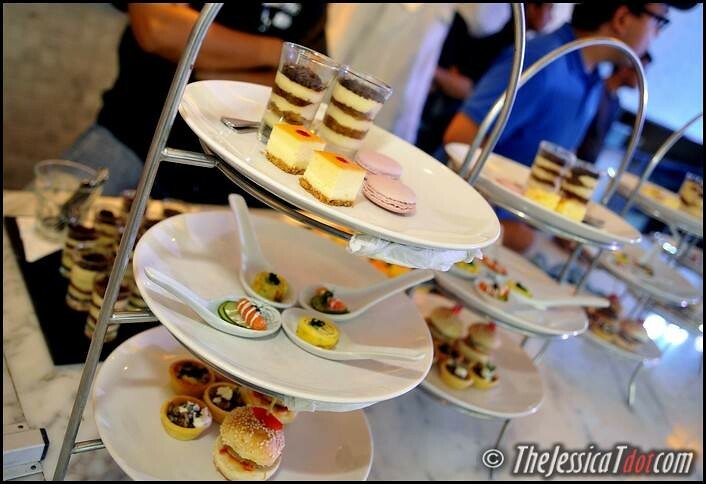 I've always been a fan of Delicious light afternoon tea and desserts! Bite-sized yet mouthwatering, these little goodies certainly leaves you wanting more! 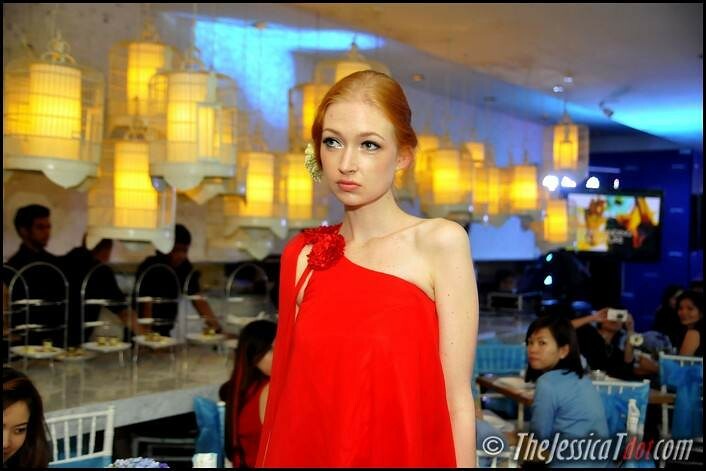 Us guests were served a delectable assortment of desserts, pastries and finger food. Another round of Dominique Chan's Princess collection was ready to be catwalked down the BLUE carpet. 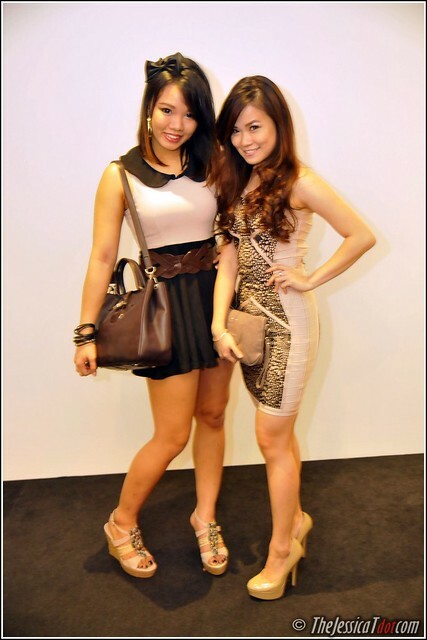 This time round, the models not only paraded the dresses. I was totally smitten by their elegant, flowy and luxurious gowns which to me, embodied so much beauty and grace of the female figure. It was almost as if I was watching real princesses walk by! Here are some close-ups I shot of the models once again.. this time, with the individual products. 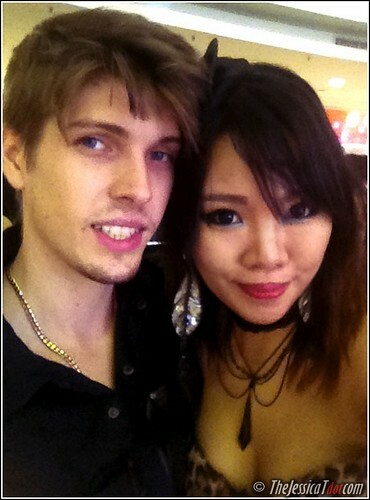 I managed to take a photo with the designer of the entire Princess collection! 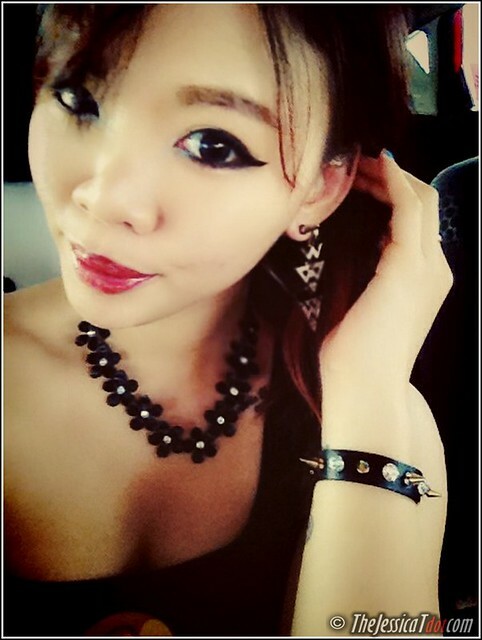 I enjoyed my afternoon of fashion, beauty and delicious afternoon tea-buffet today. 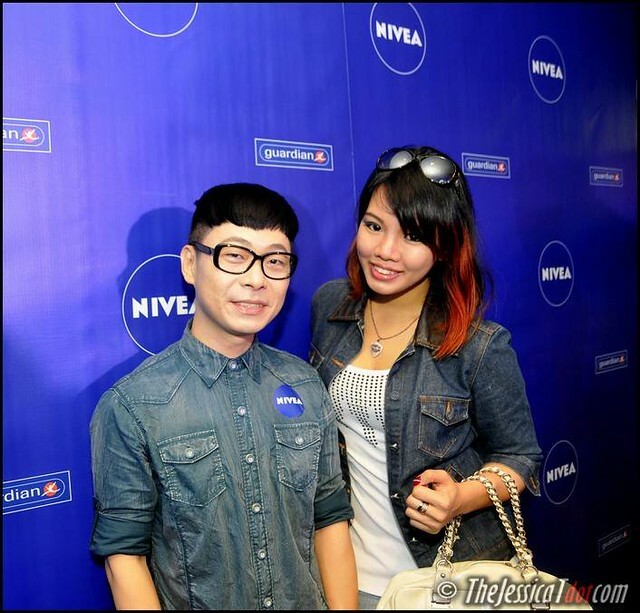 Thanks NIVEA! 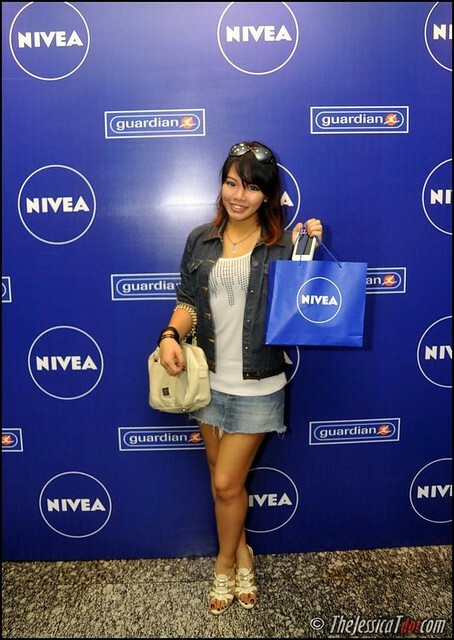 Naturally, I couldn't wait to get home to try out all the products from NIVEA's Pure & Natural range! Pretty sure I was feeling like a princess by the time I was done!